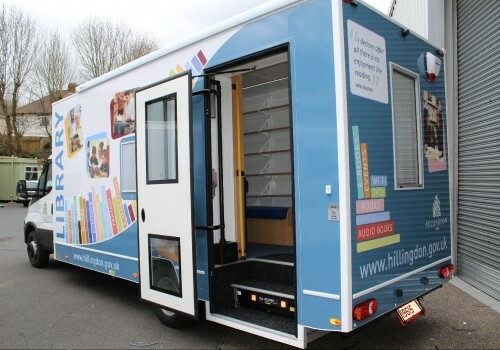 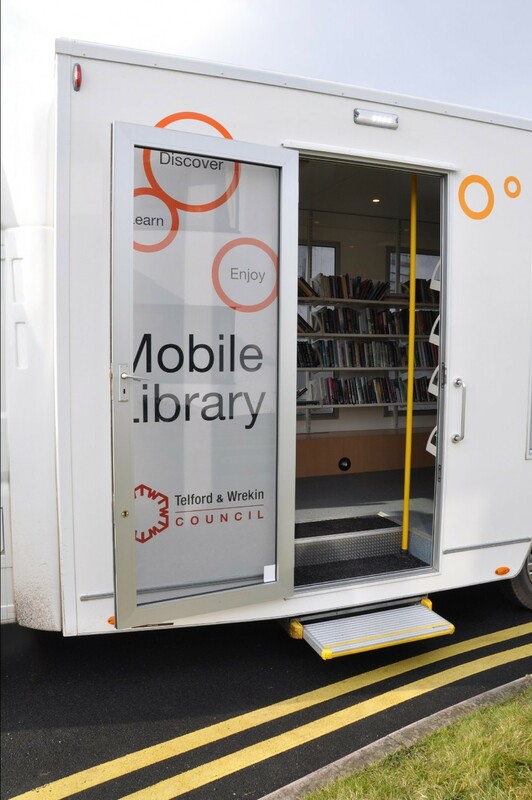 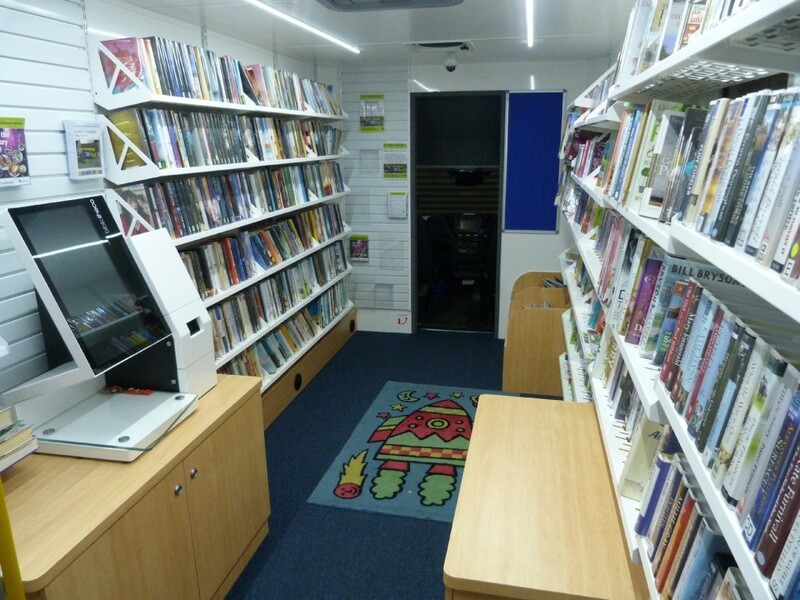 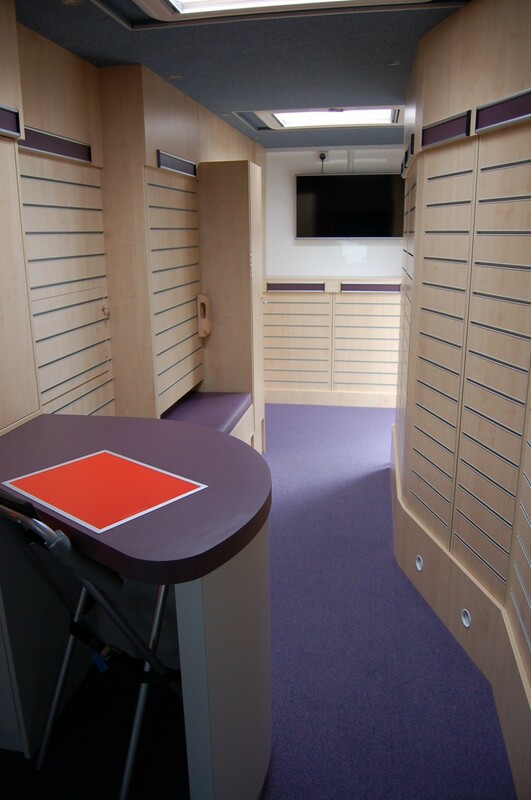 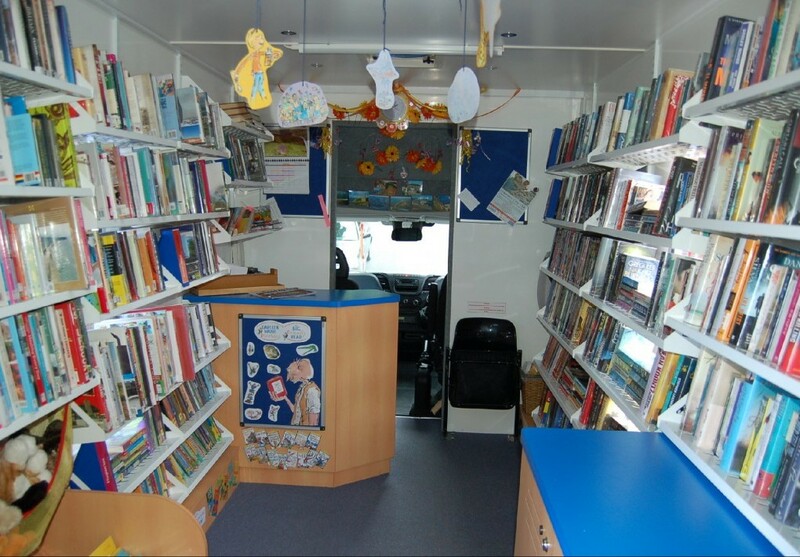 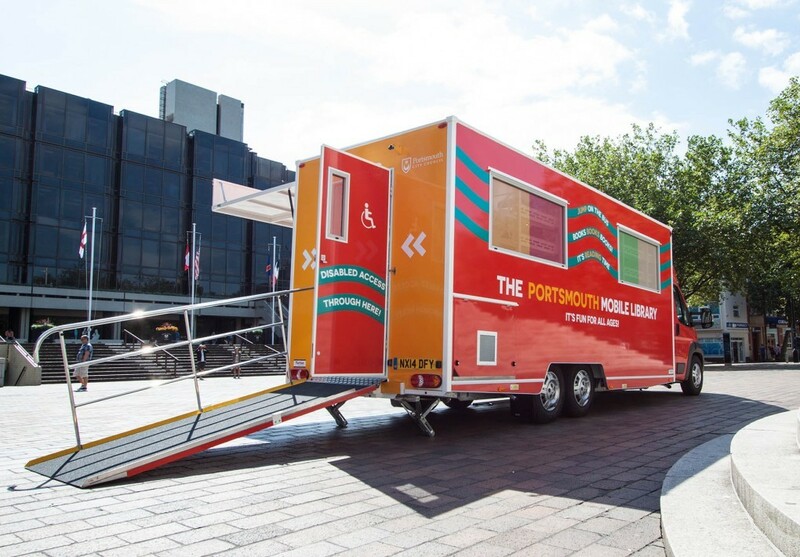 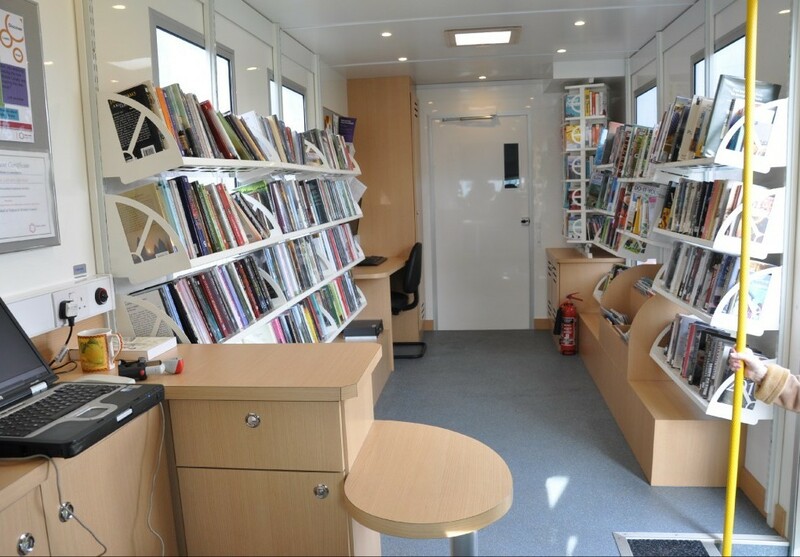 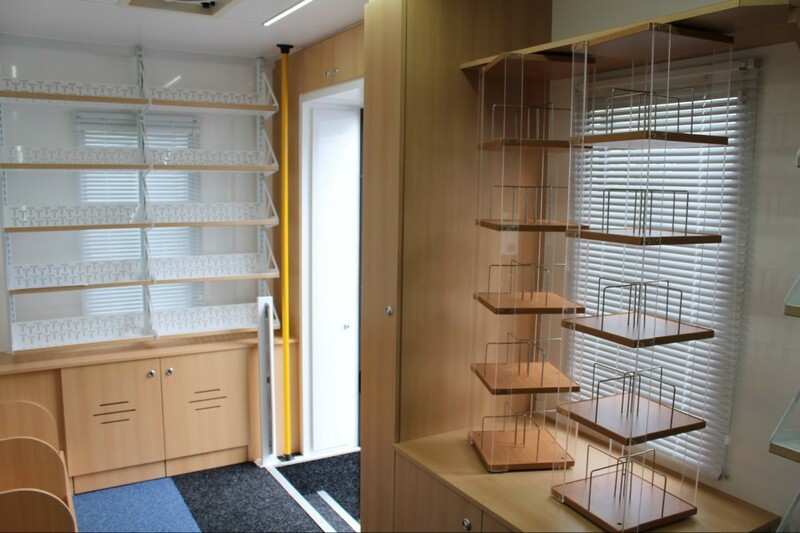 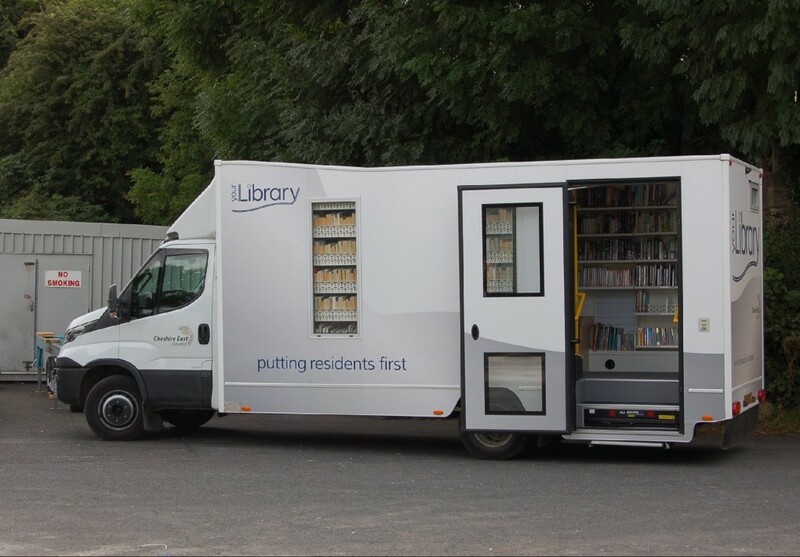 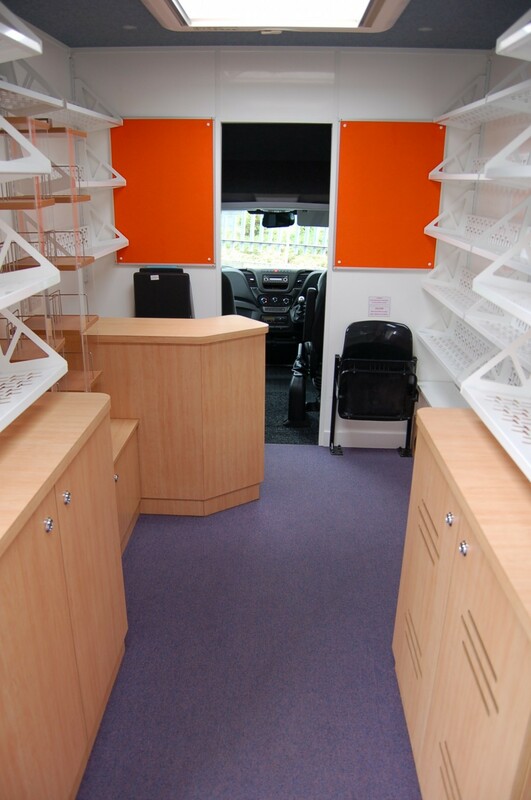 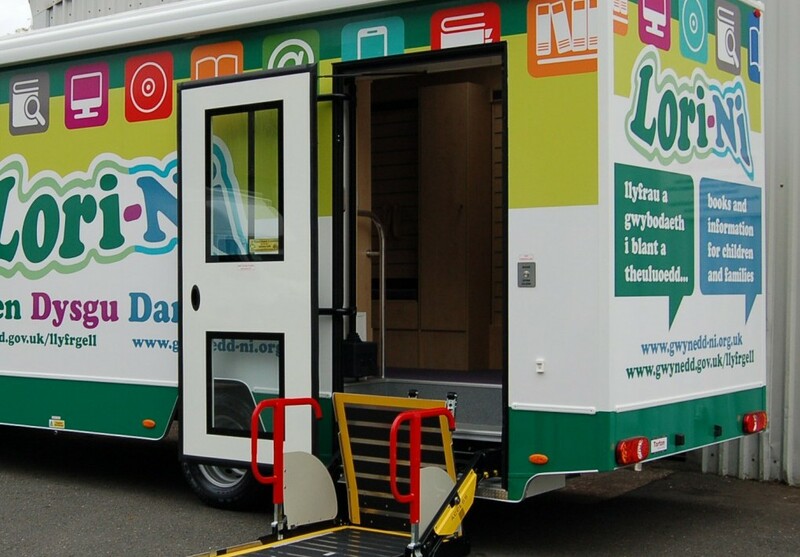 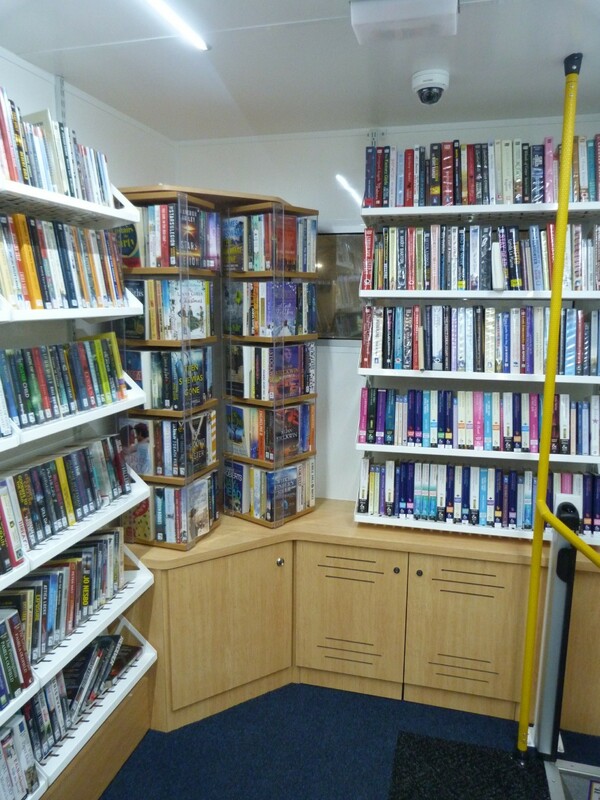 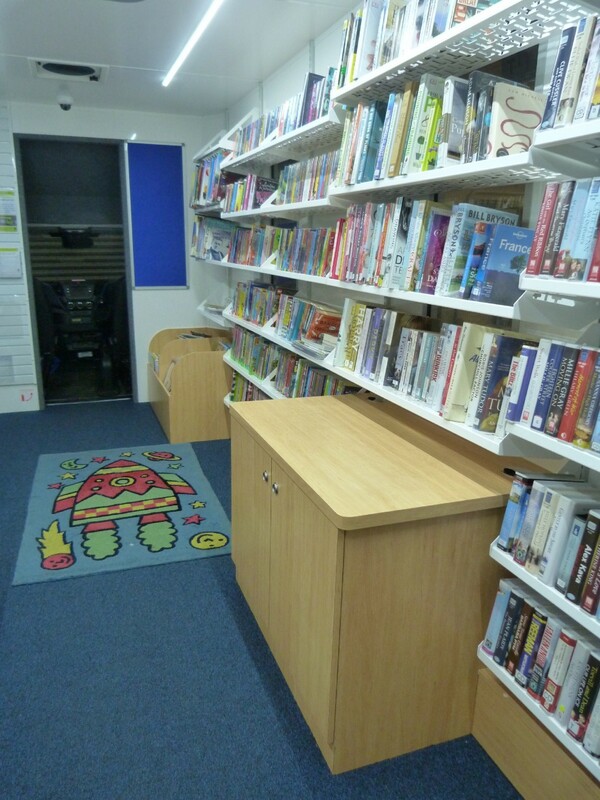 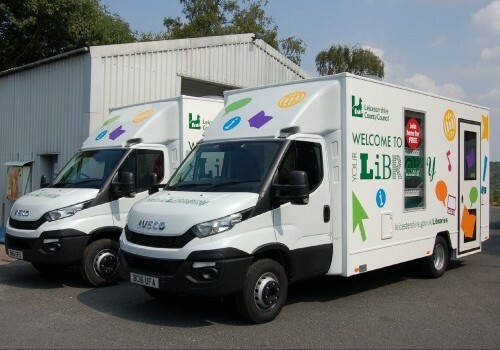 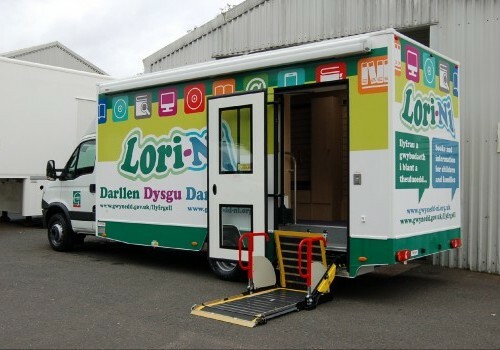 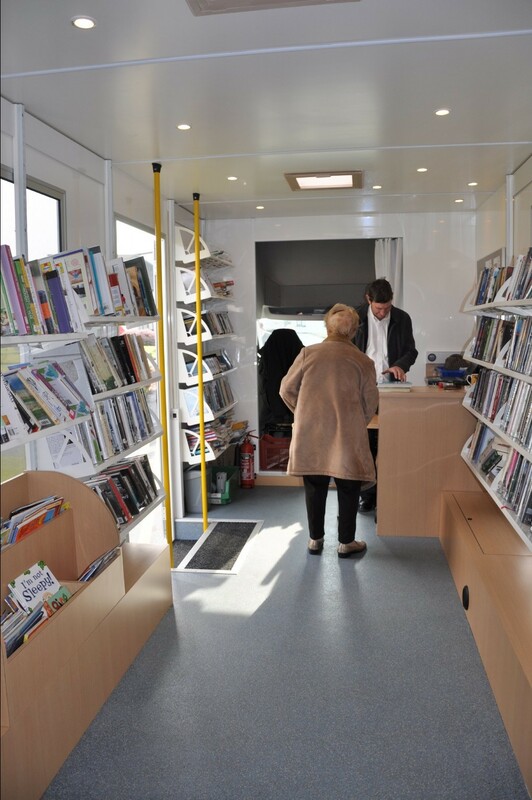 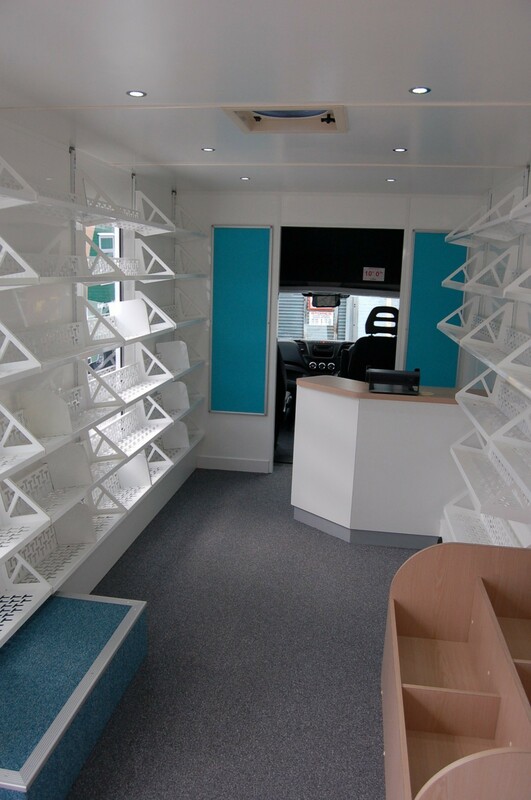 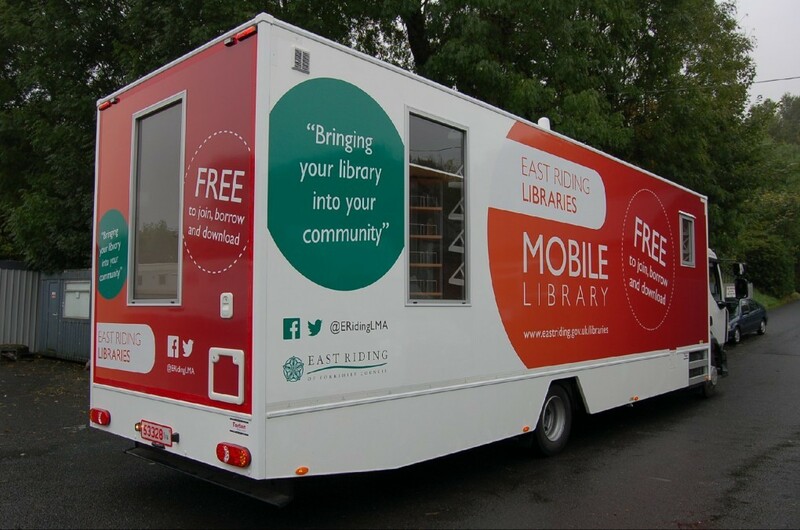 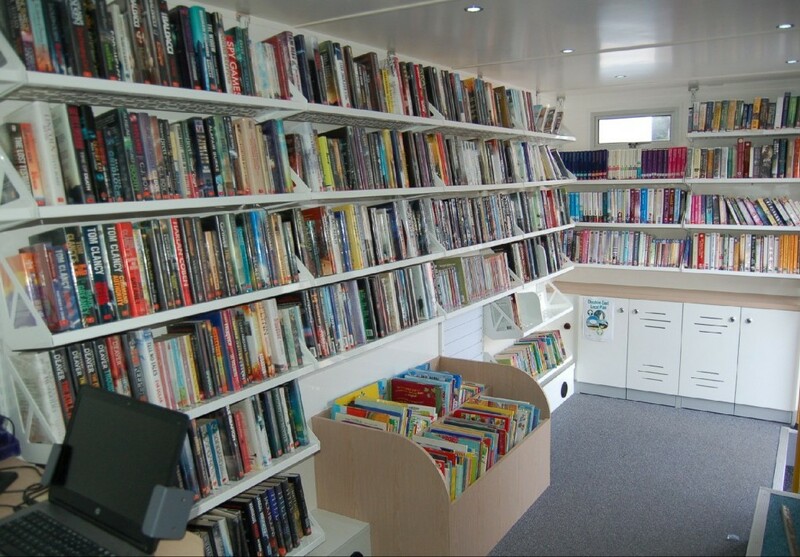 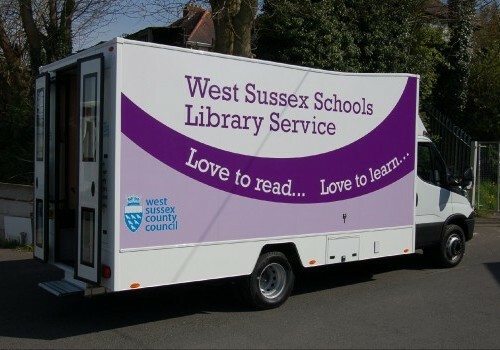 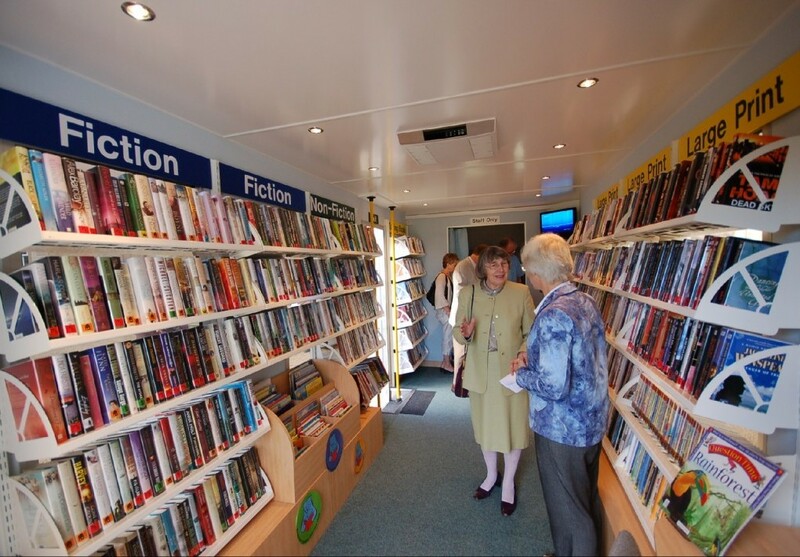 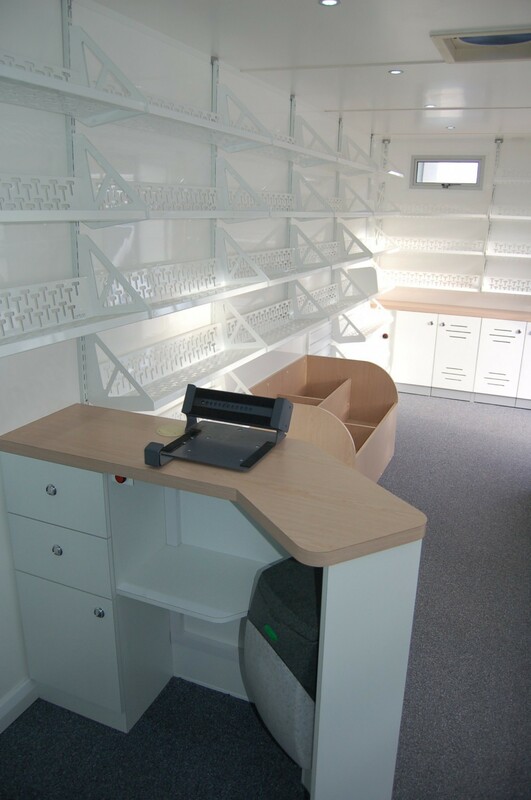 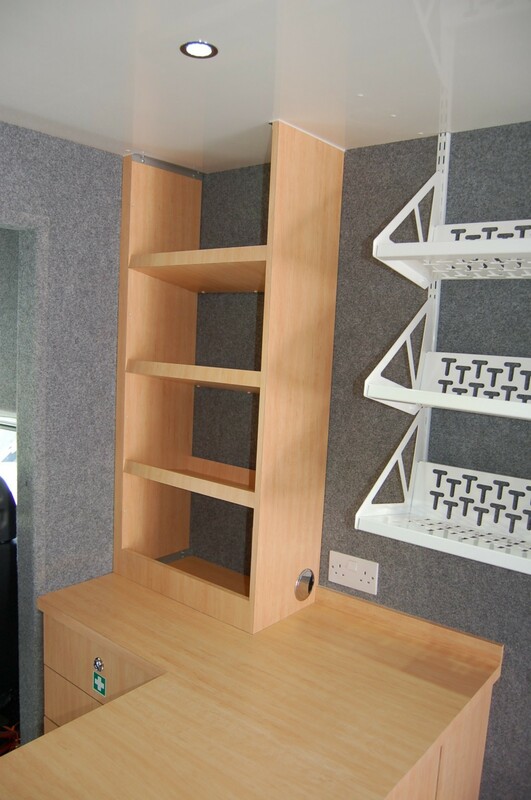 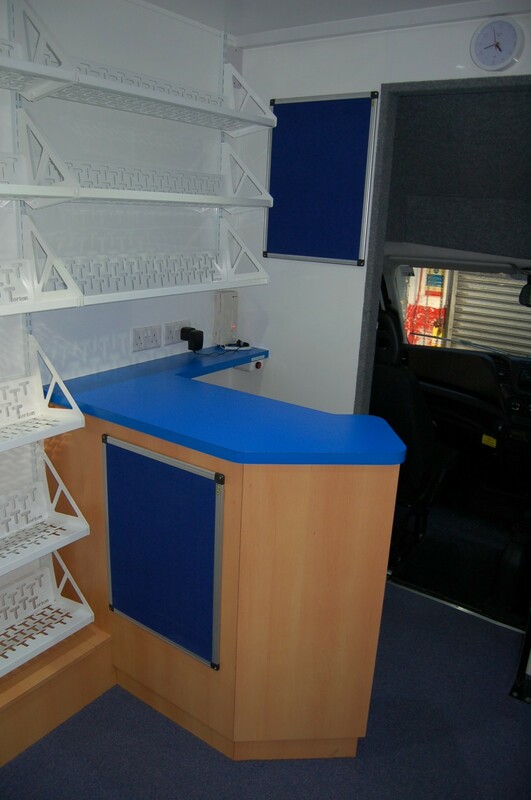 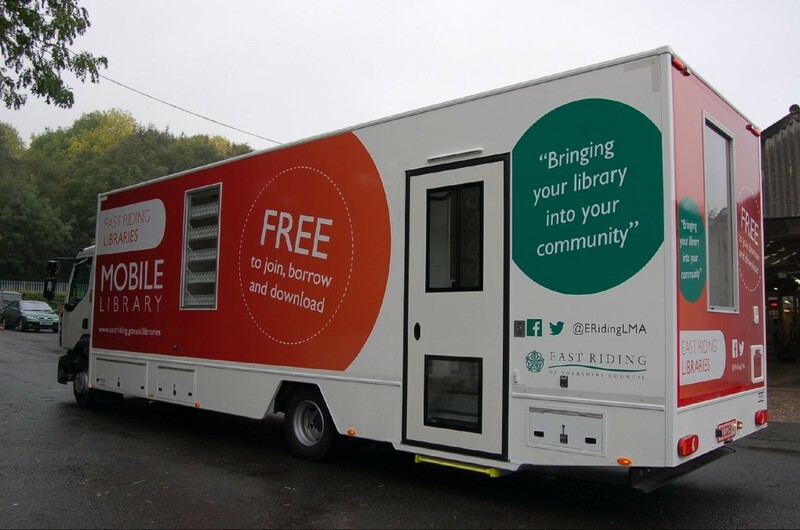 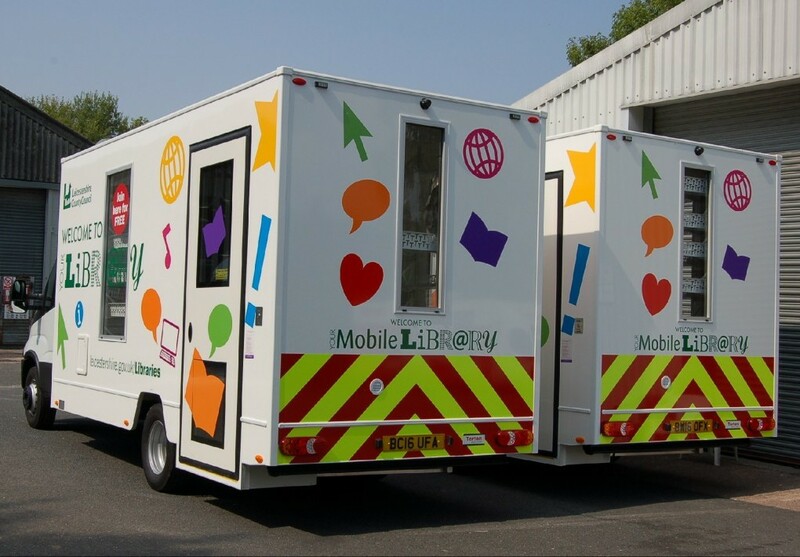 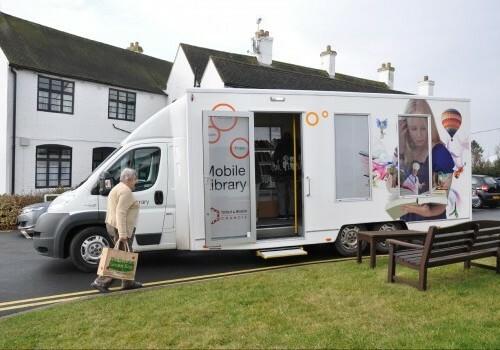 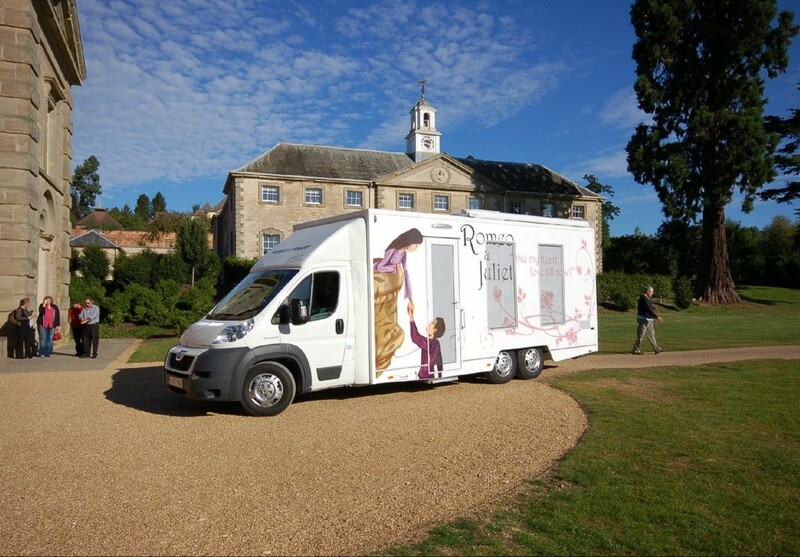 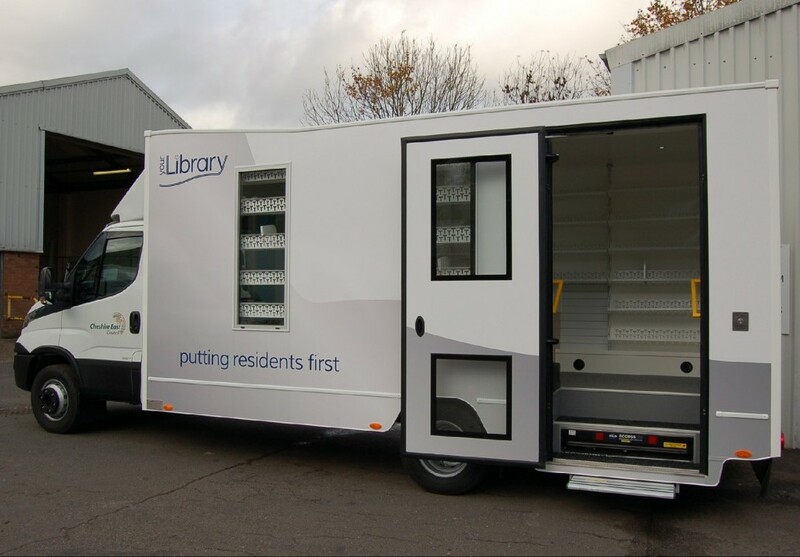 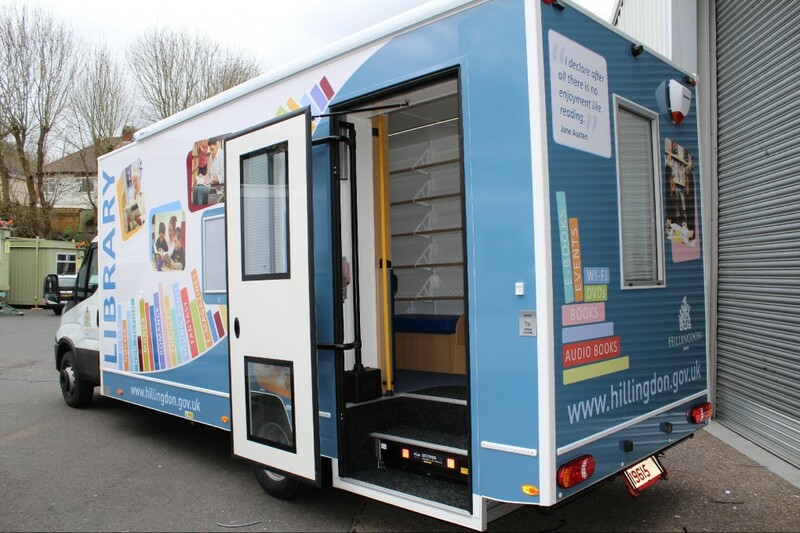 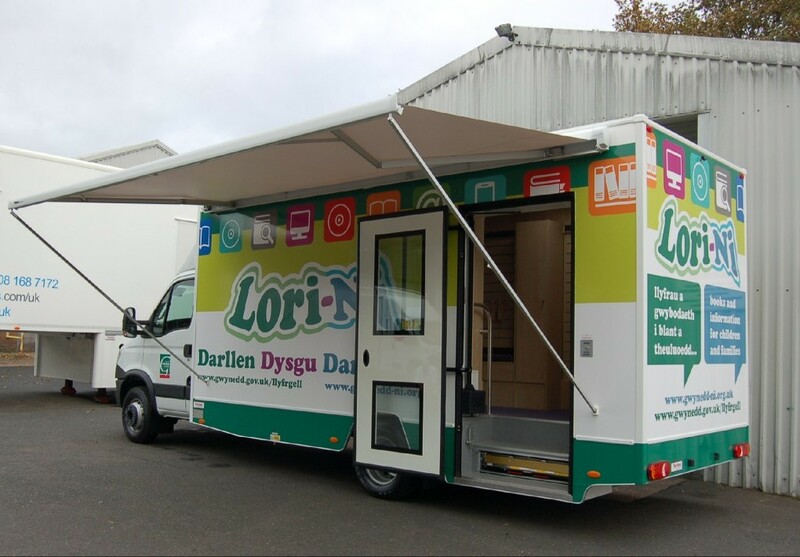 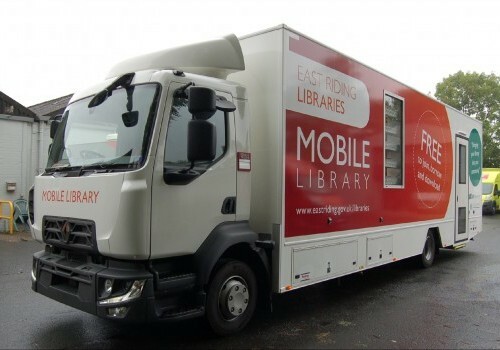 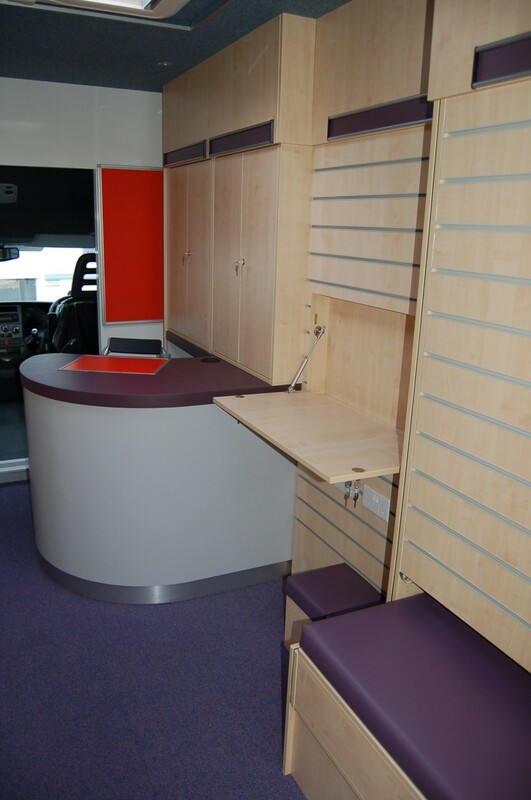 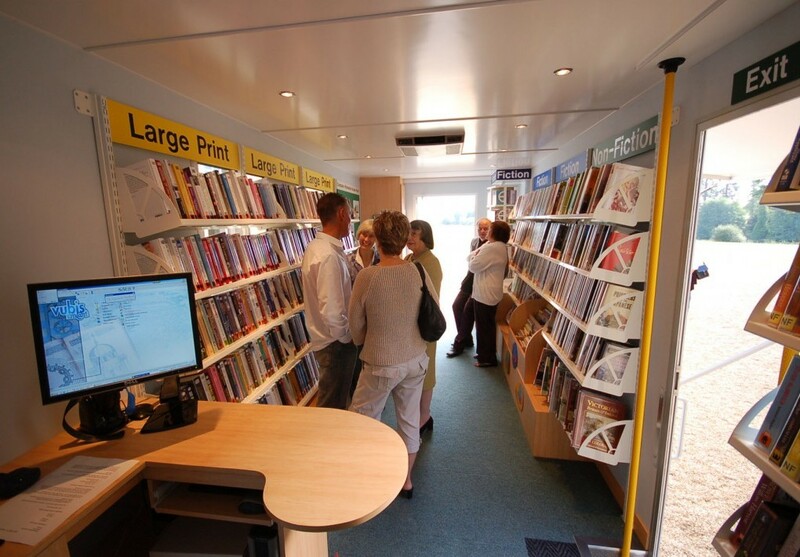 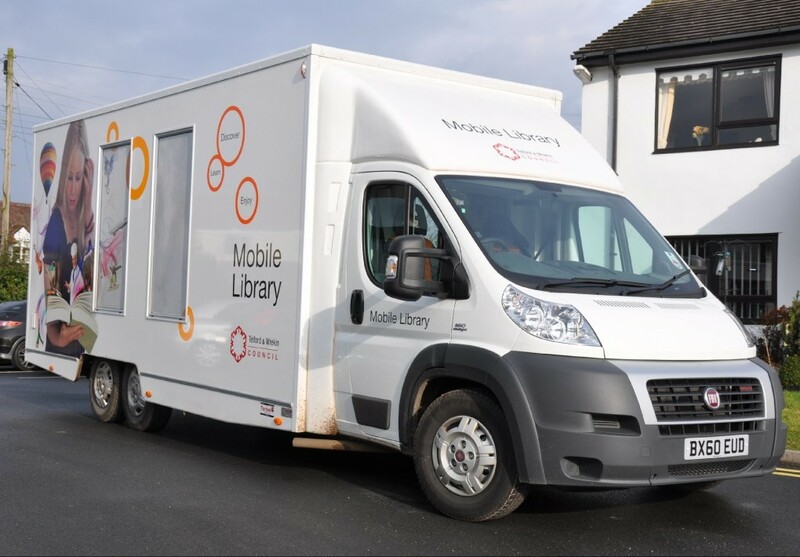 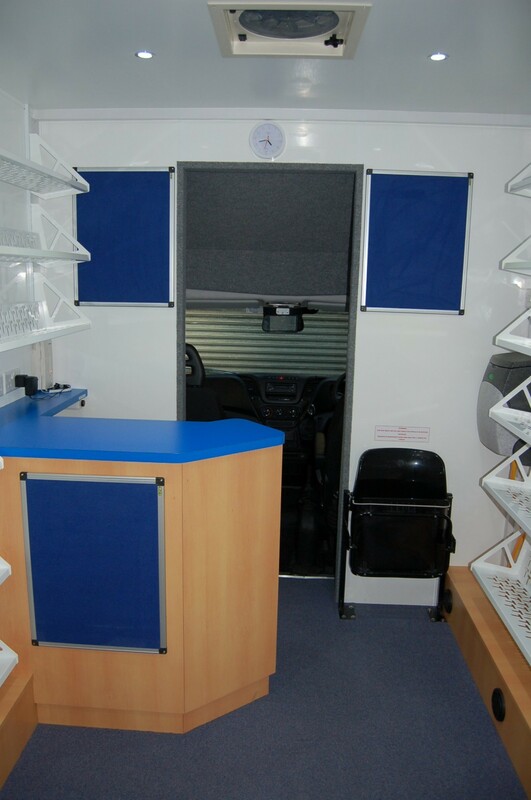 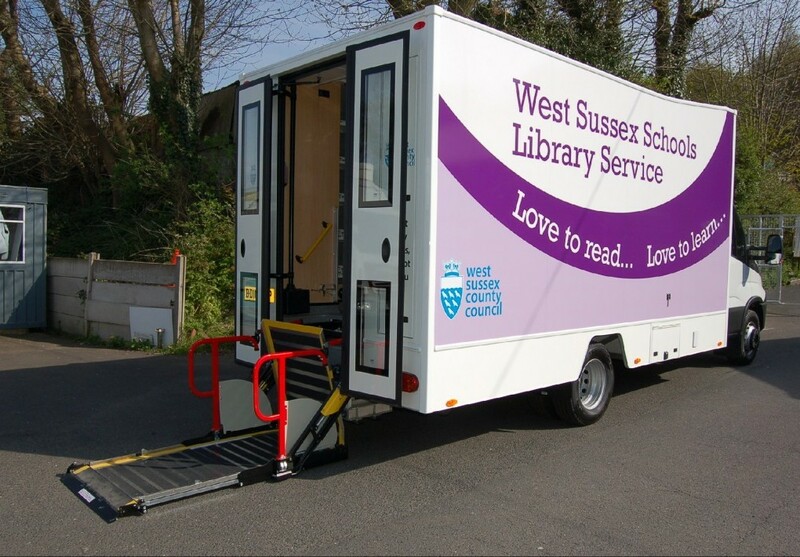 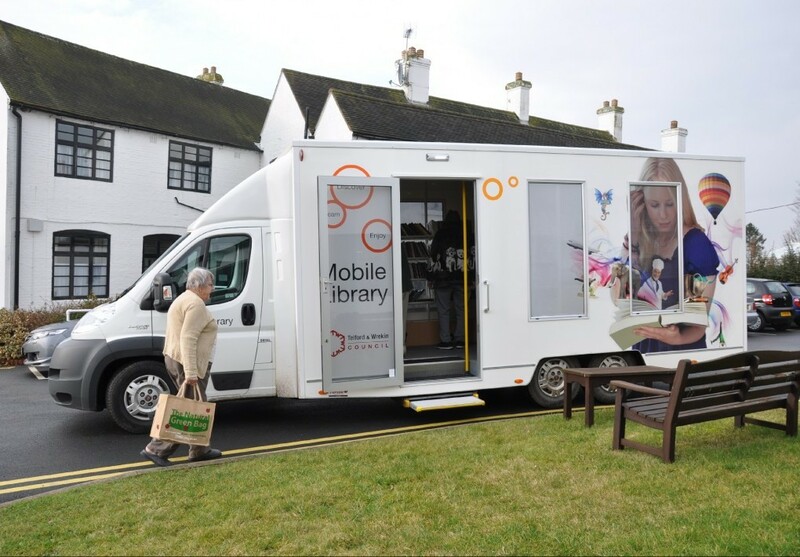 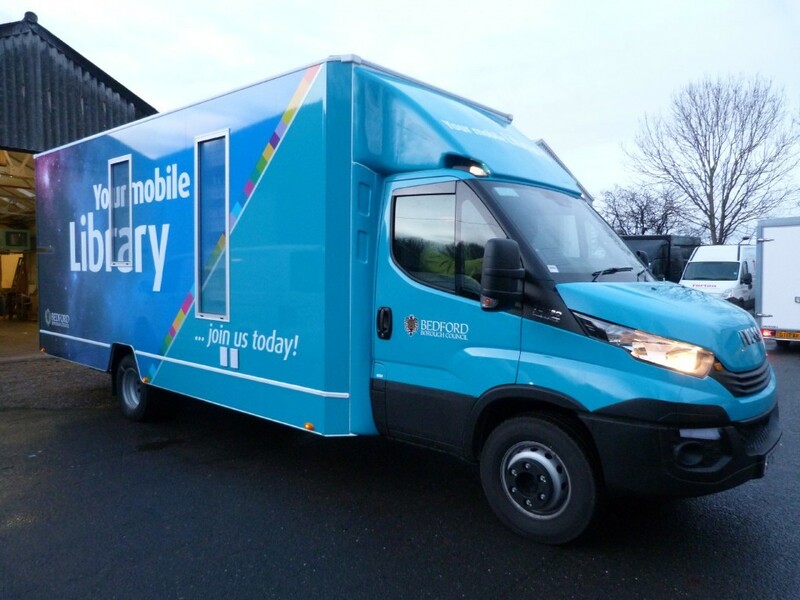 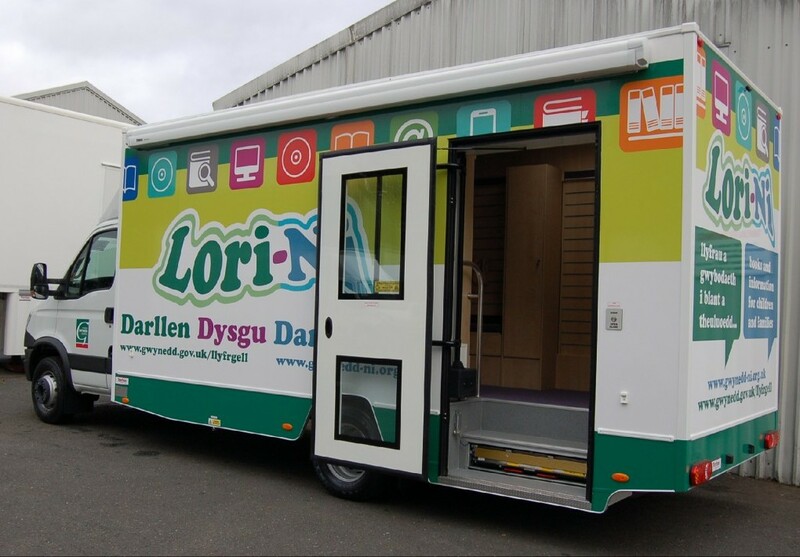 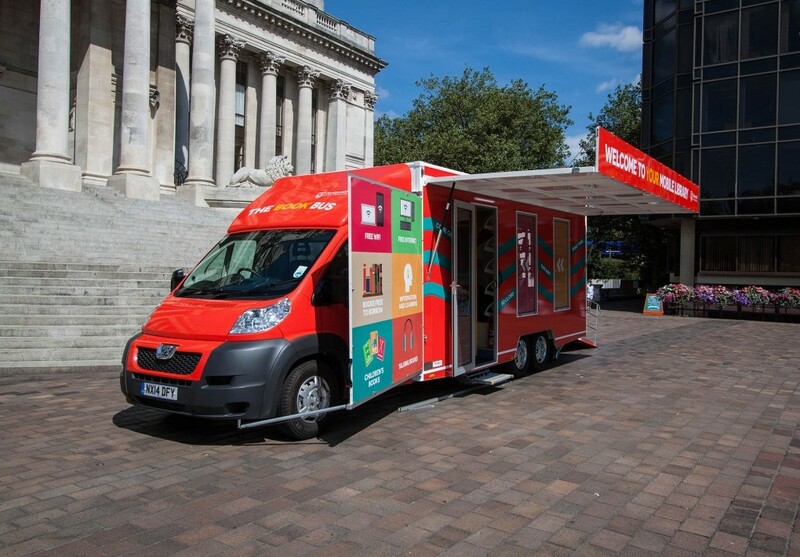 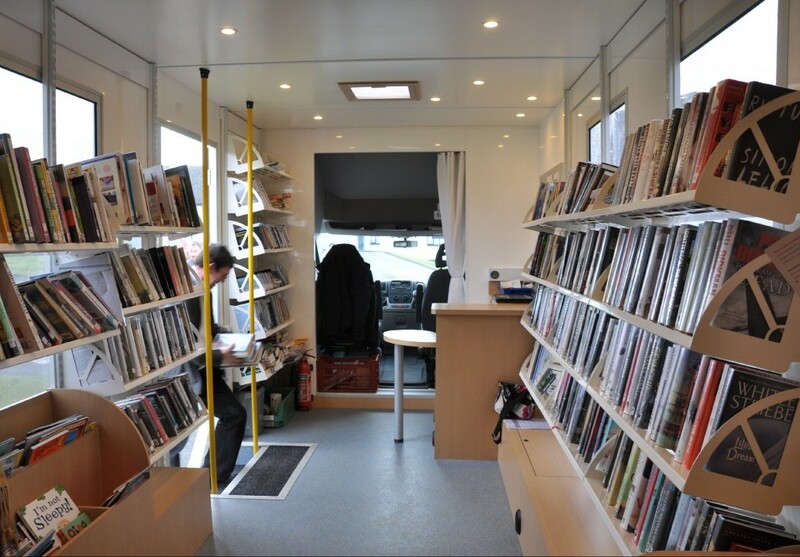 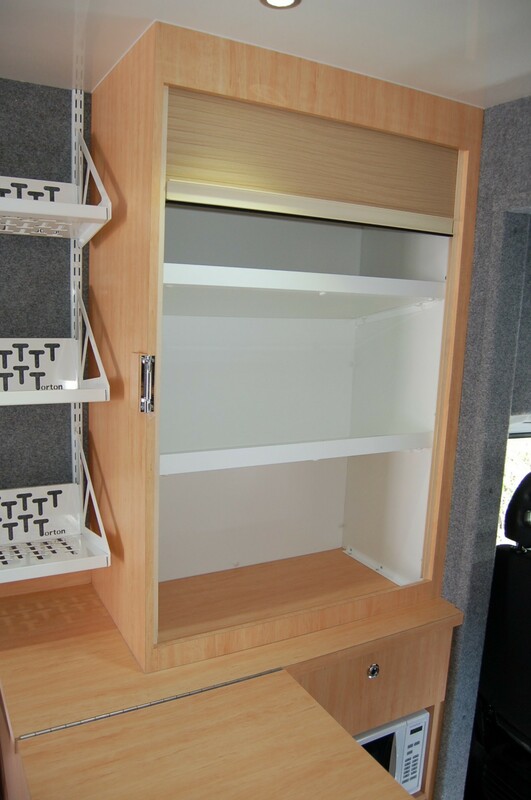 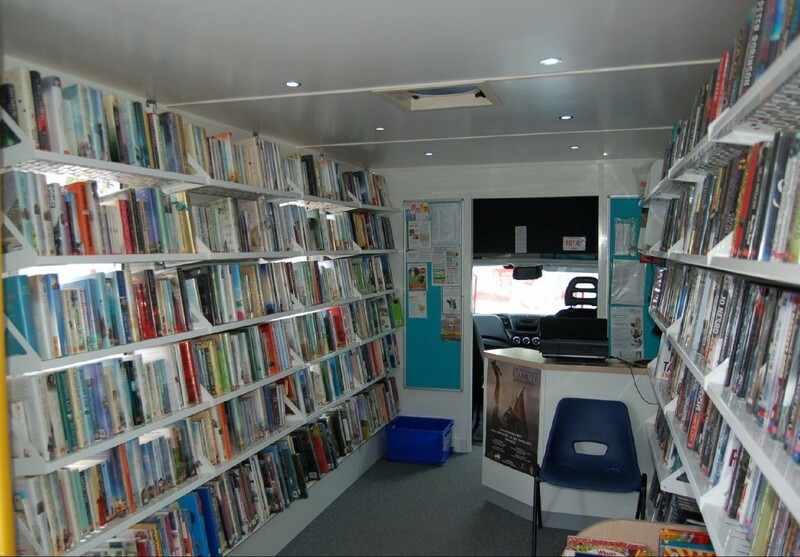 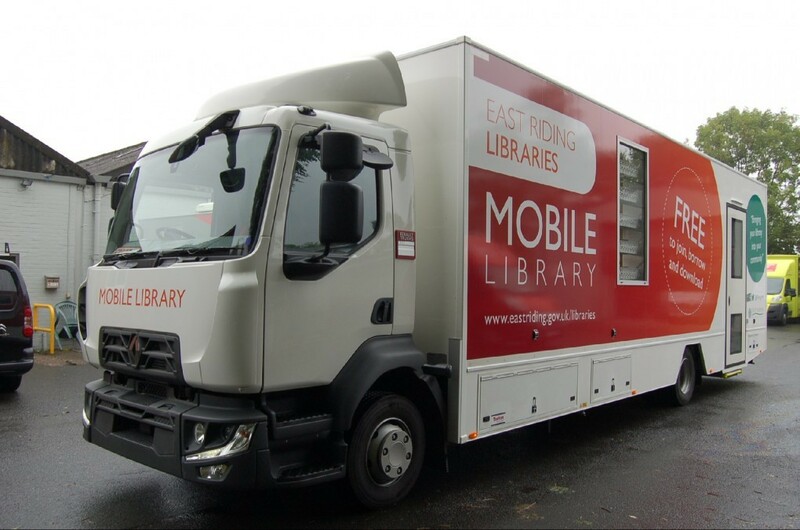 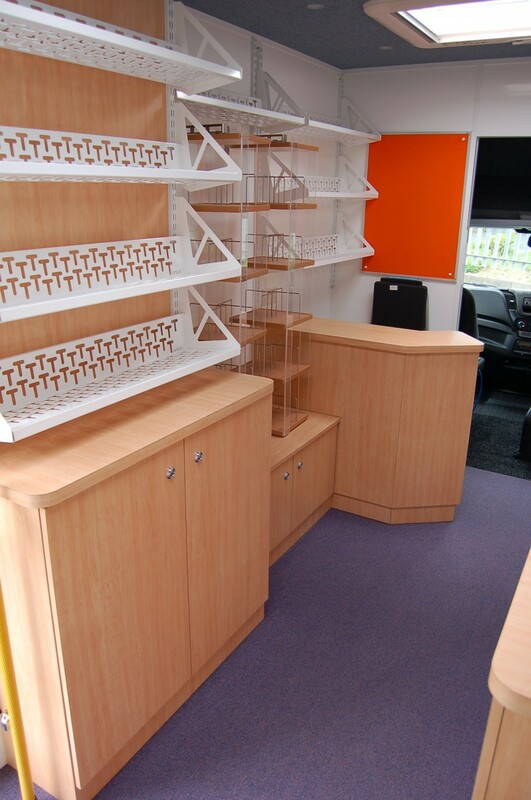 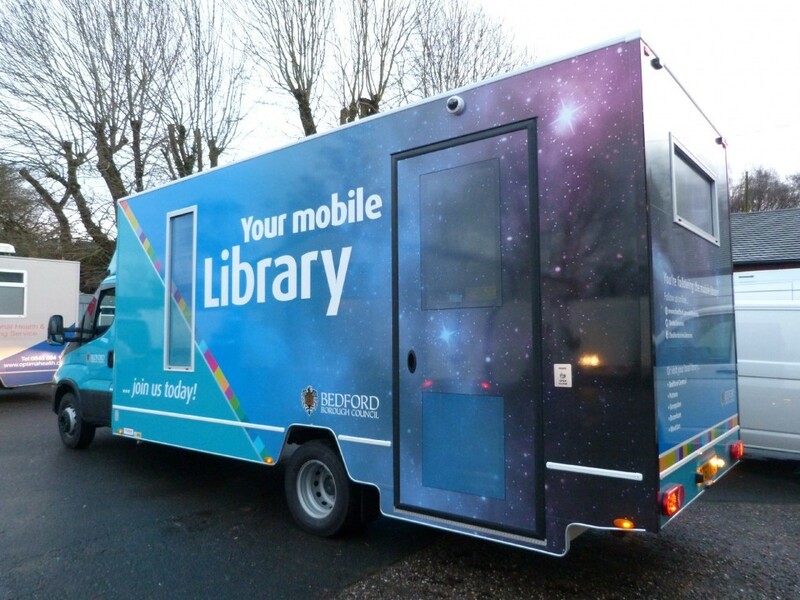 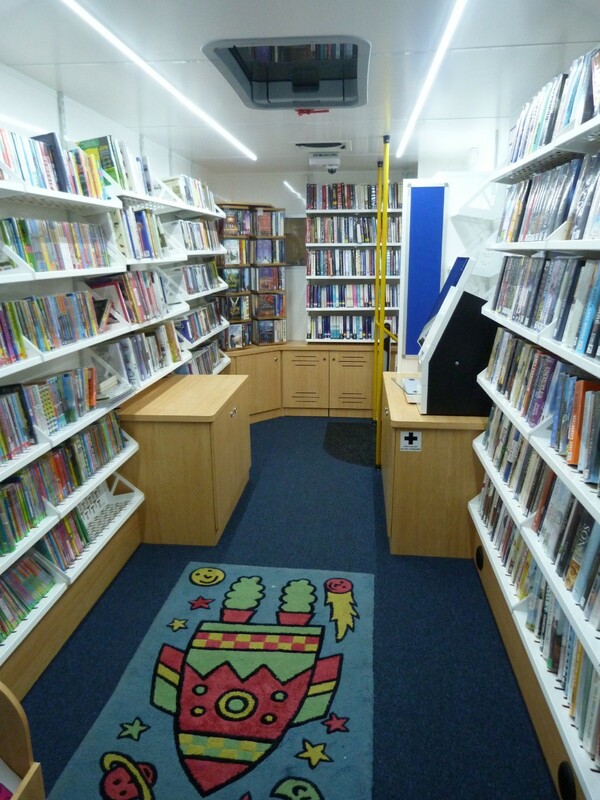 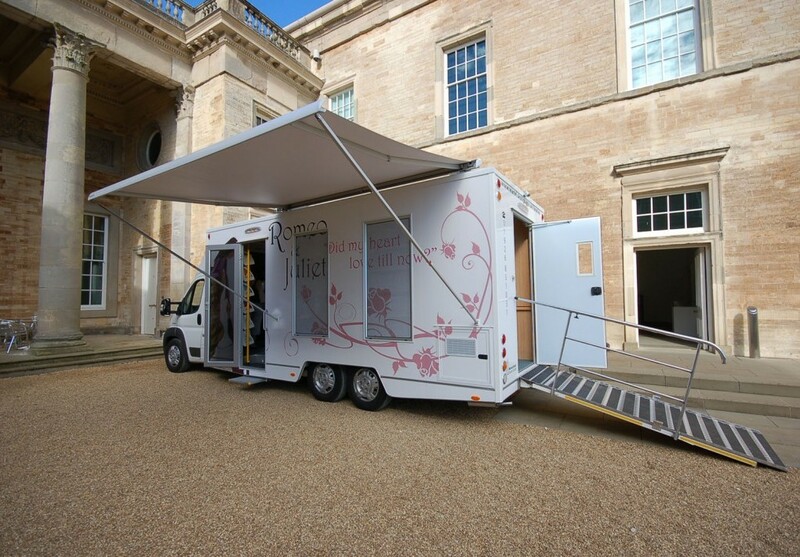 If you're looking for a mobile library for sale in the UK, some of Torton's new build mobile libraries can be seen here and are custom designed to meet your requirements. 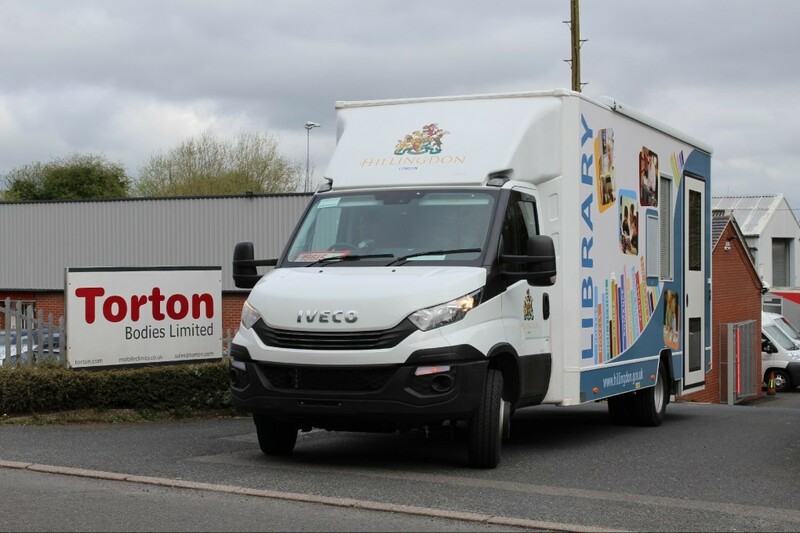 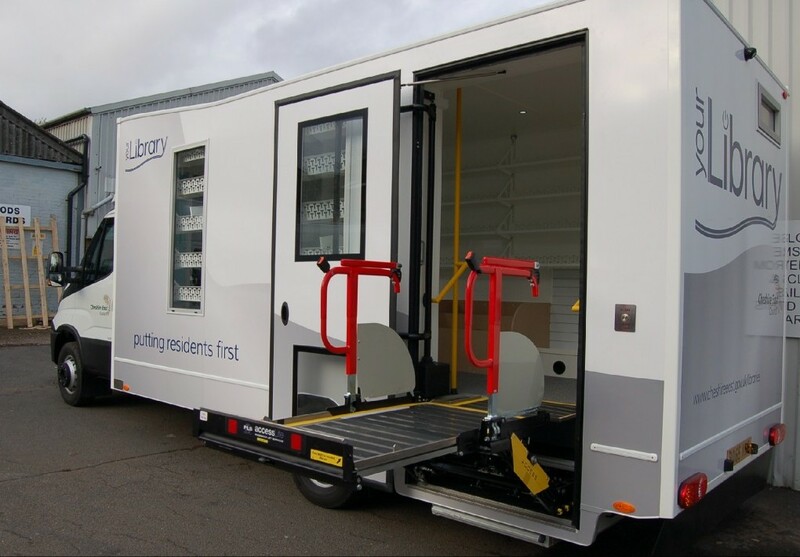 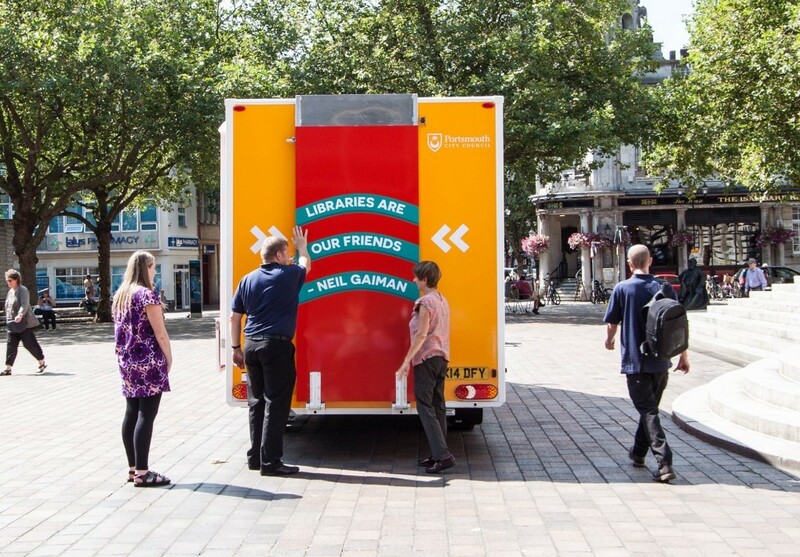 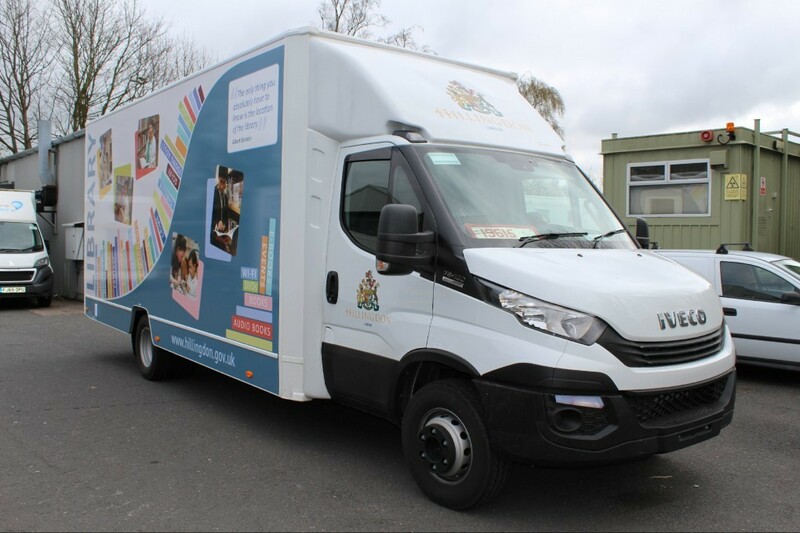 Torton have had great success with the 7,200Kgs category of vehicle with walk-through cab, which has capacity for 2,500Kgs load which is more than sufficient as most vehicles of this size would only expect to carry around 1,000 kgs worth of books. 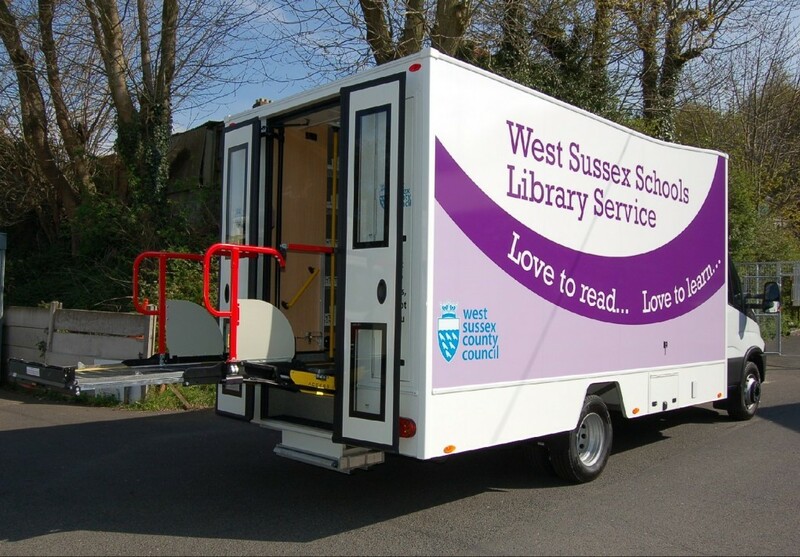 We also offer a 6,500Kgs, 5,000 Kgs and 3,500kgs version for those with smaller requirements as well as larger vehicles and articulated trailer versions for those looking for a mobile library bus for sale. 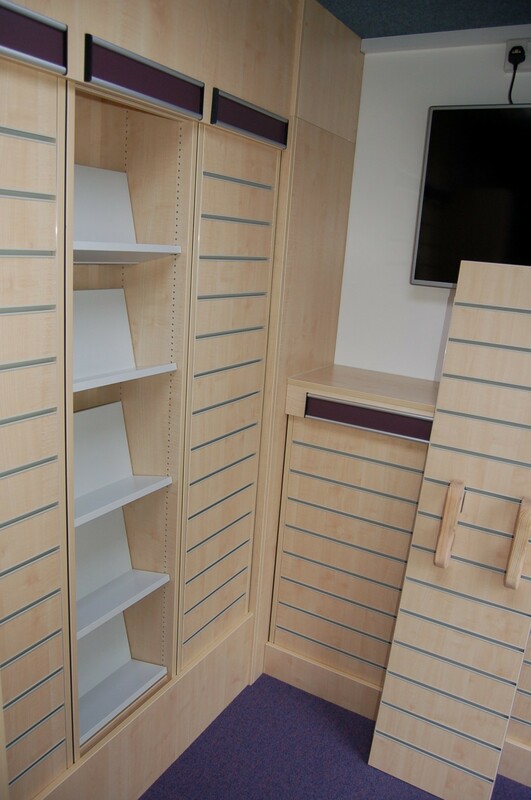 Body sizes range from 4m to 7m and can be customised to suit your needs. 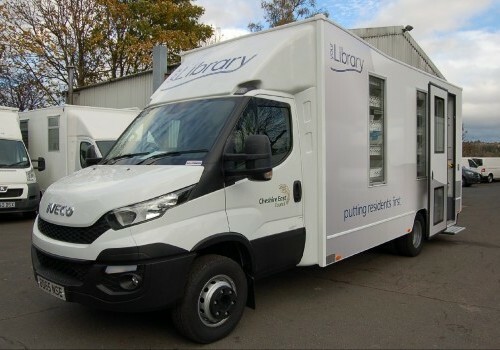 When you buy a mobile library from us, all of our new build libraries come with a full type approval certificate, electrical certificate and user manual. If you like the look of any of the vehicles & mobile library vans for sale or have a different specification, please get in touch on 01952 612648 to discuss your options in more detail. 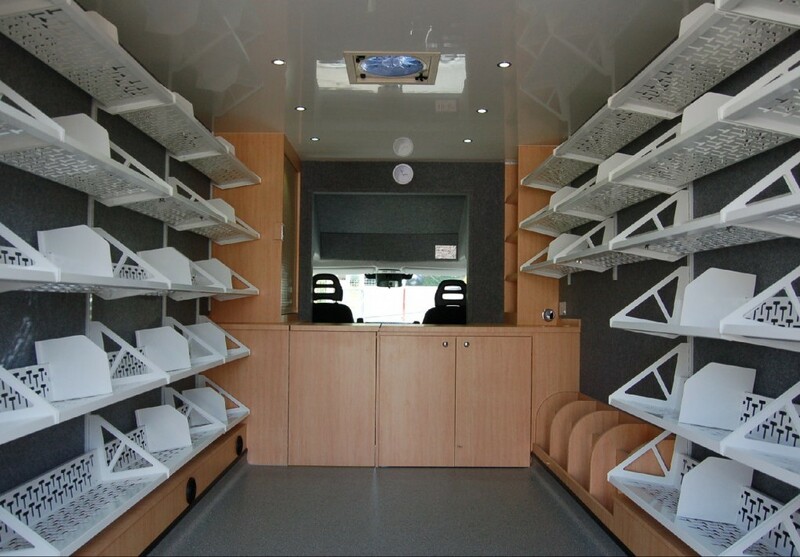 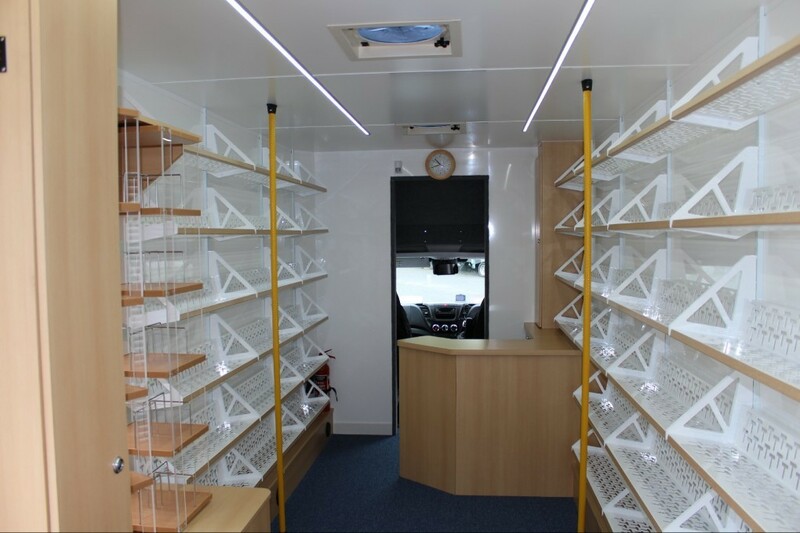 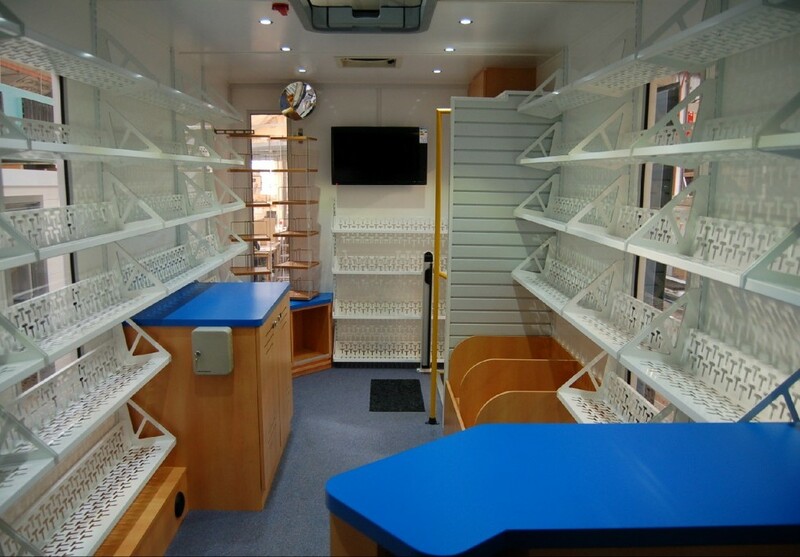 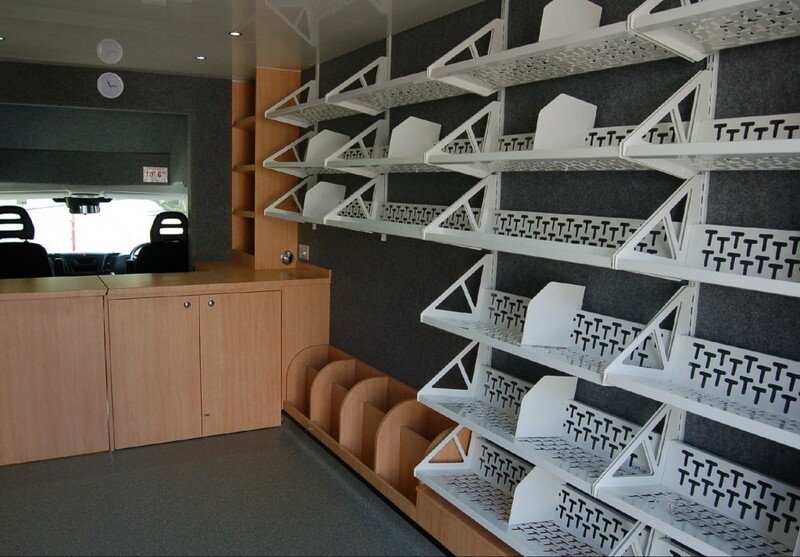 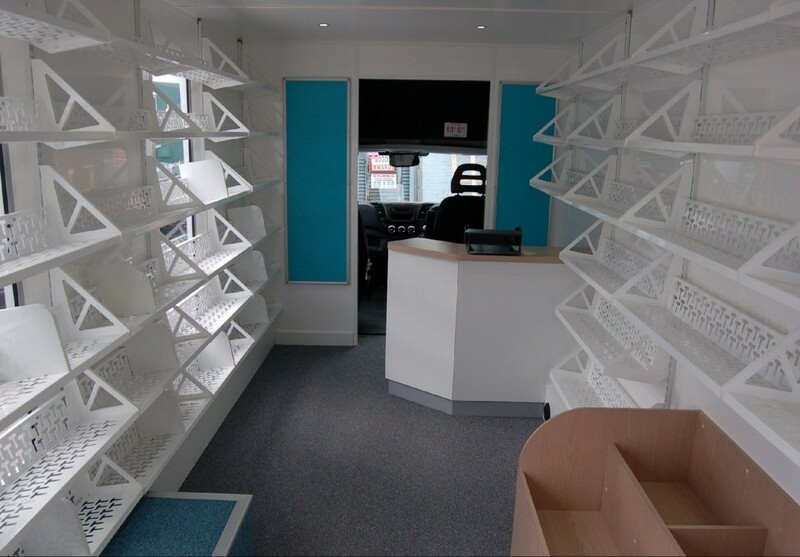 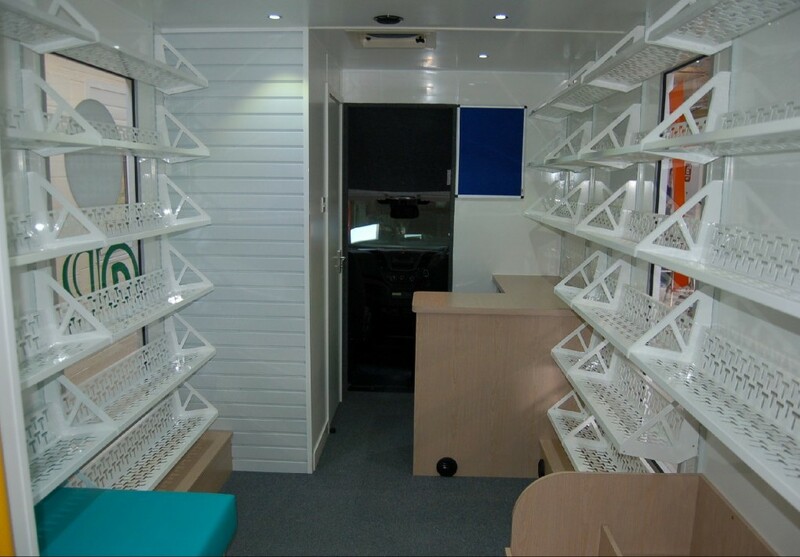 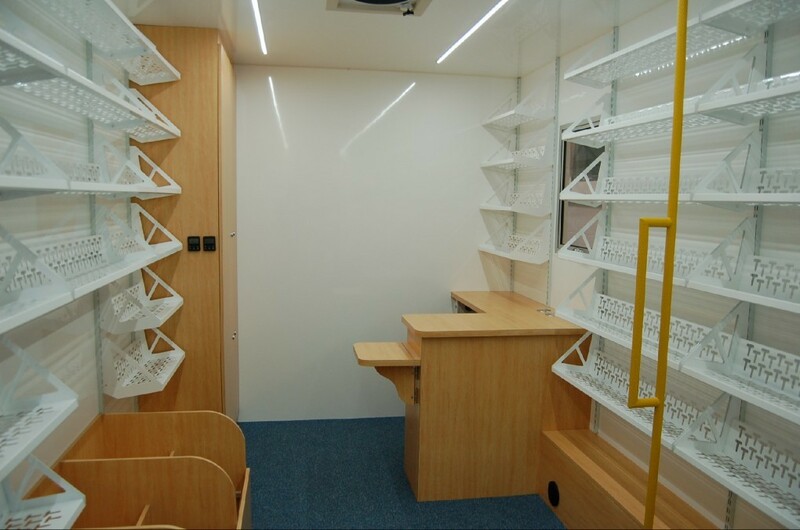 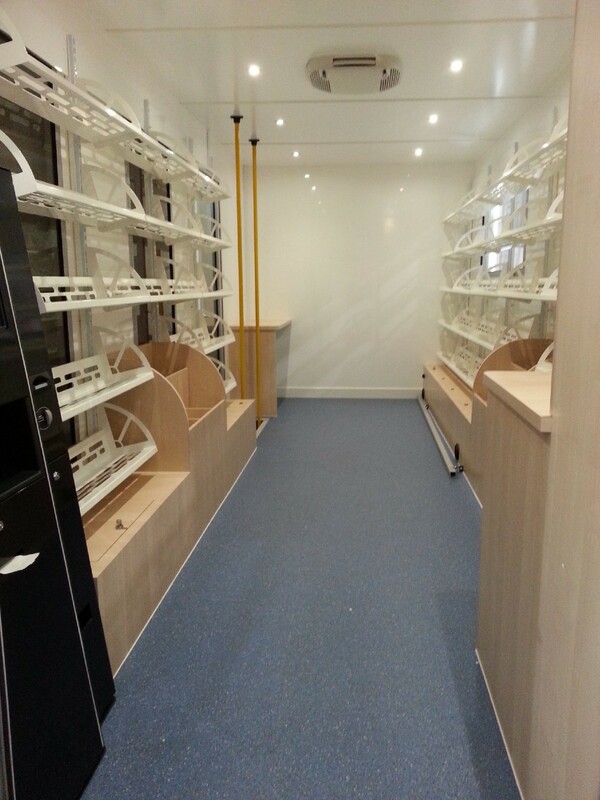 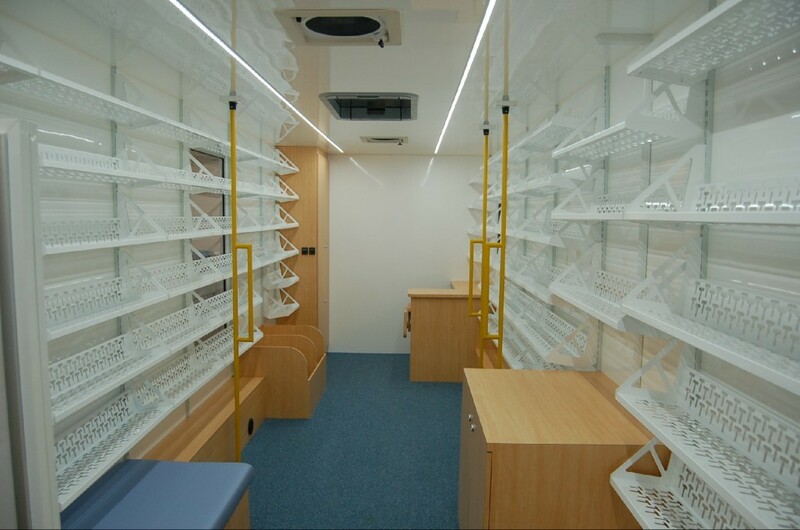 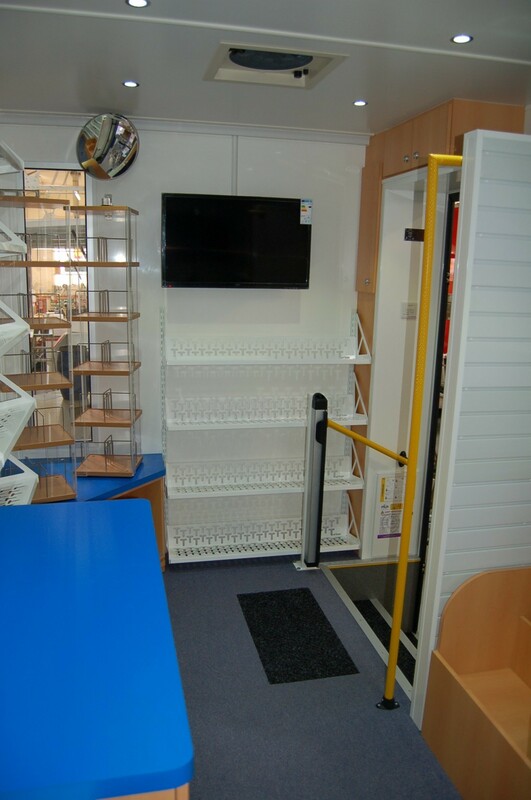 Built on a 7.2t Iveco Daily with air suspension, this 5.9m library had over 47m of total shelving from 10 rows with 54 shelves as well as 2 spinners and kinder box. 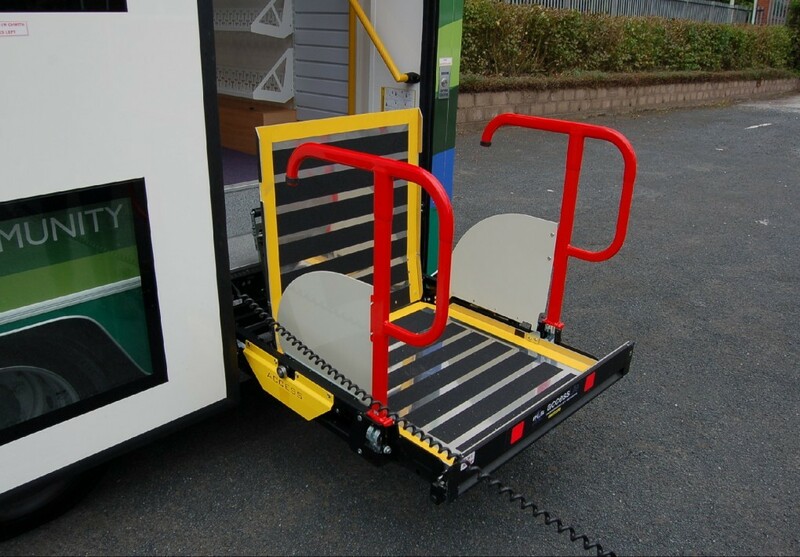 The entrance door is push button operated and incorporates a disabled lift as well as the standard step well. 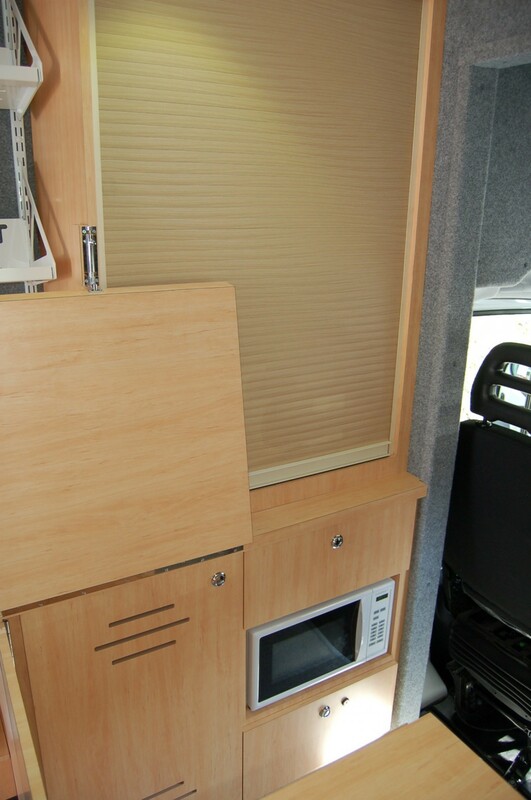 An Inverter system gives silent power. 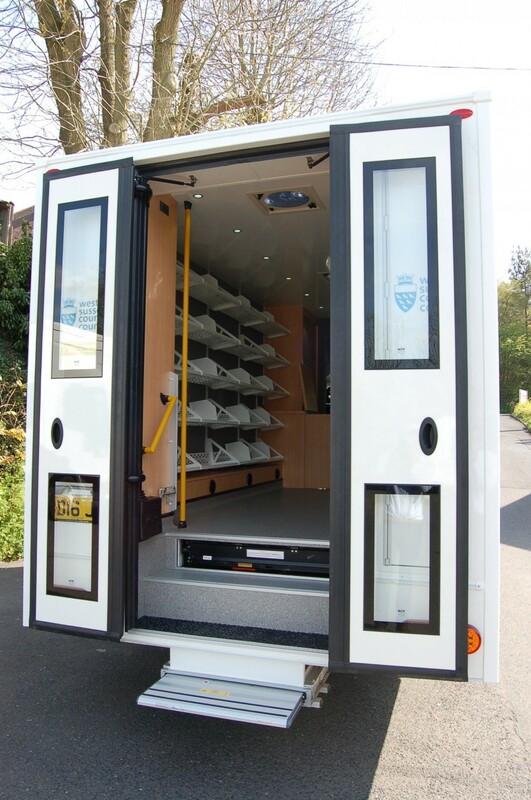 All round CCTV and an board weighing system is fitted to ensure the vehicle is never over weight. 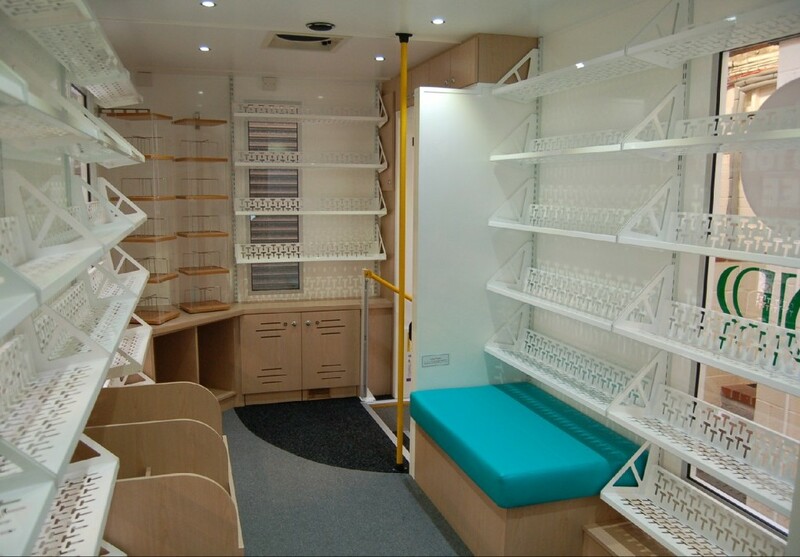 This 12 tonne Renault vehicle was able to have an 8.8m length x 2.44m width body fitted to give 60m in total length of shelving as well as 2 spinners and a Kinder box. 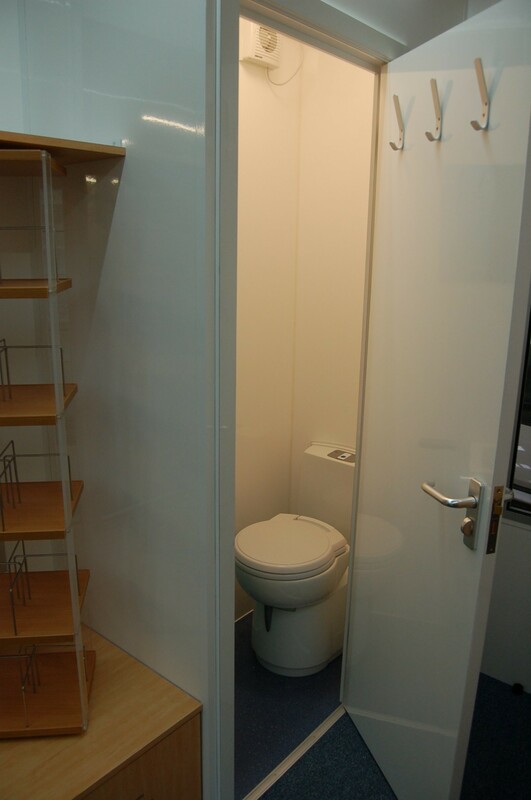 Staff toilet and refreshment facilities are included as well as invertor system for silent working. 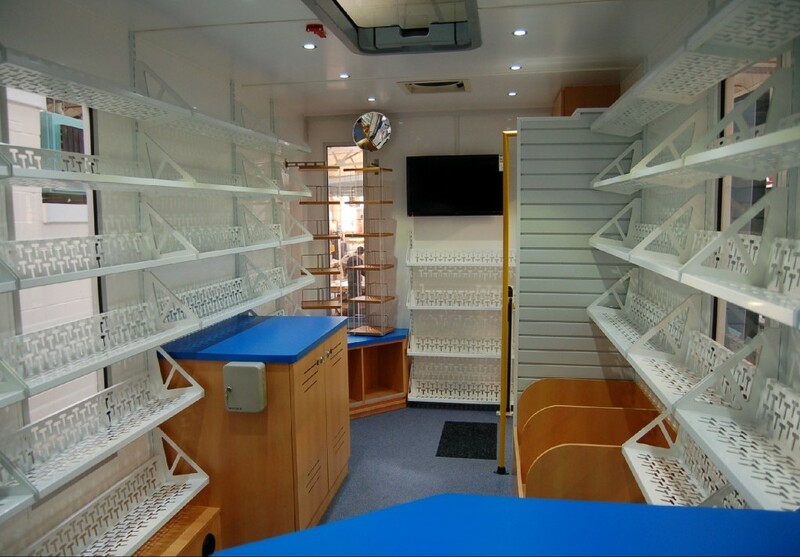 This 7 tonne Iveco vehicle had 47m in total length of shelving. 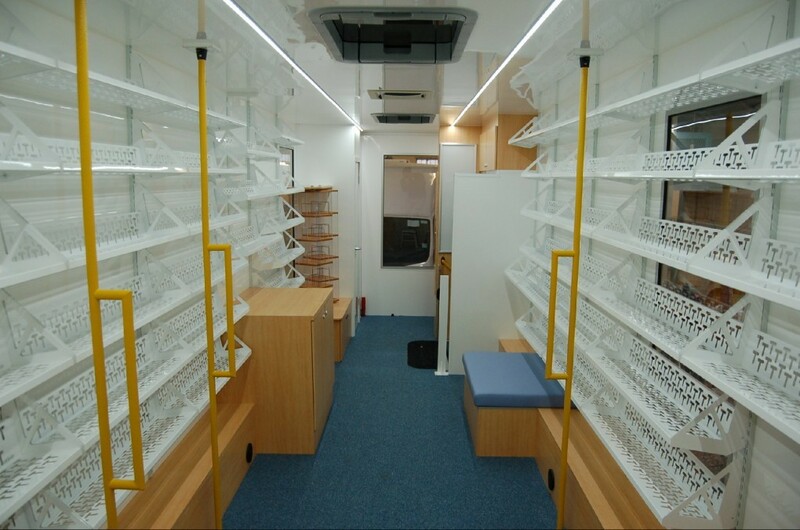 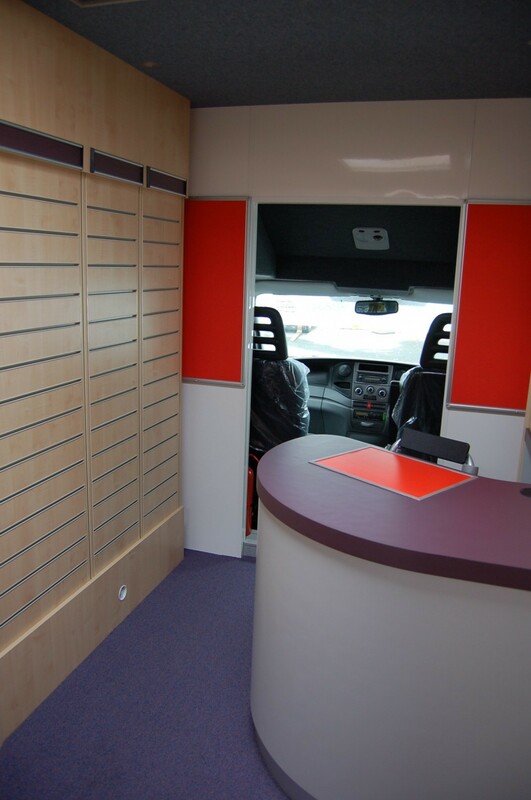 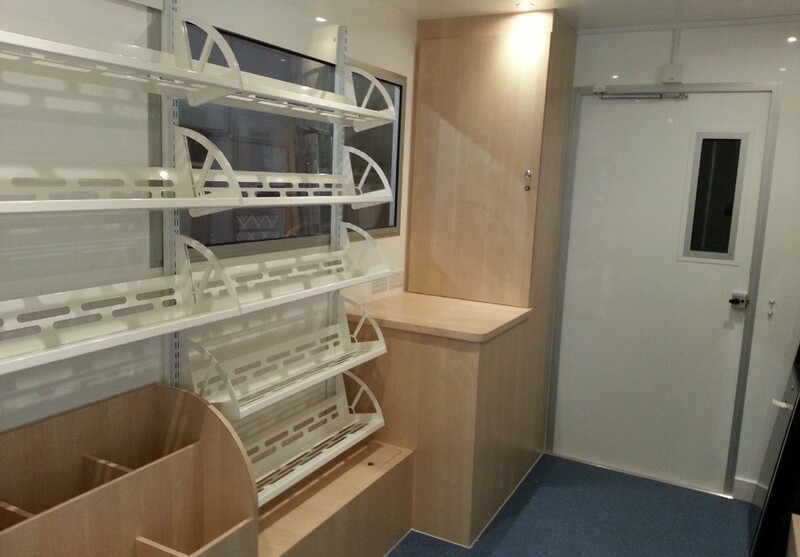 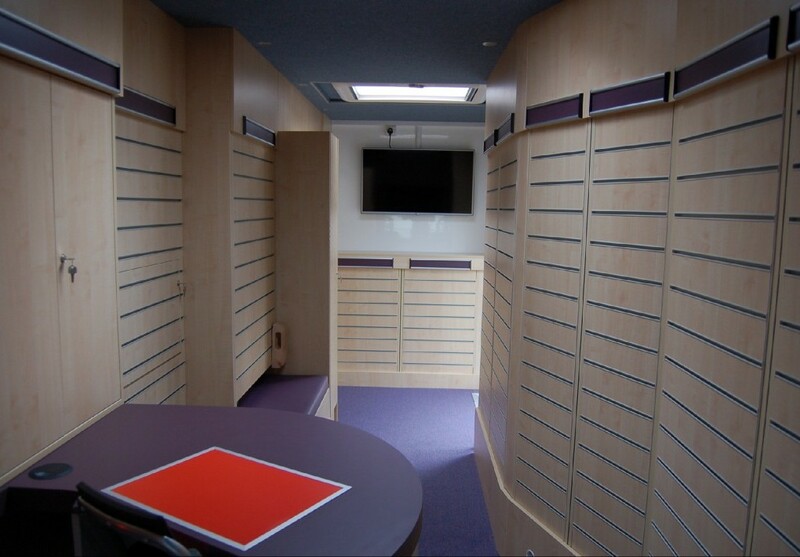 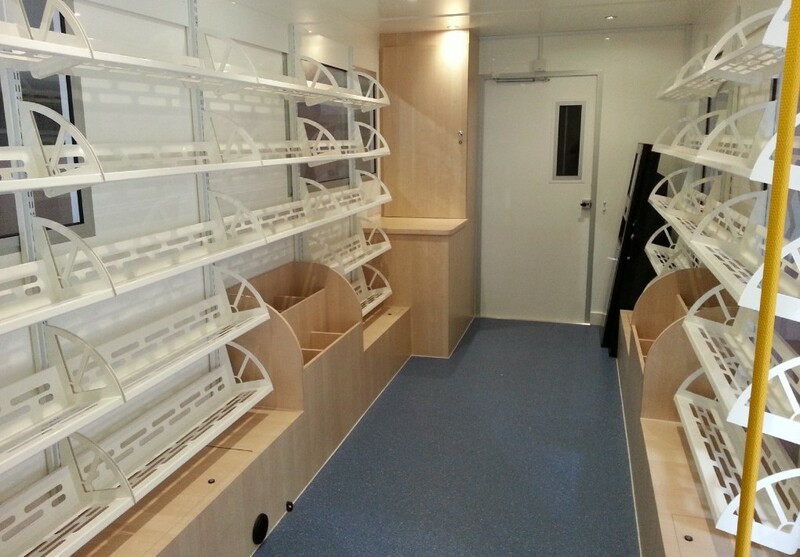 This 5.45m body library was built on a 7 tonne Iveco. 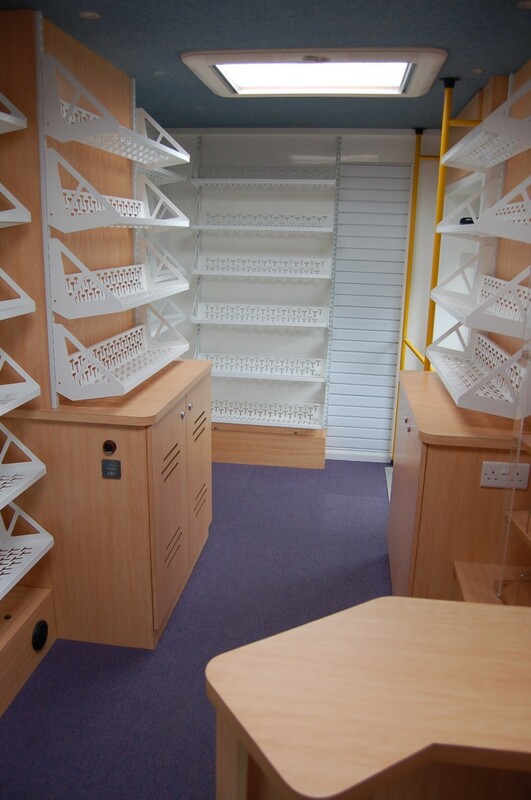 Complete with all its shelving, its ex works weight was 4840 kgs so plenty of capacity for as many books as can be fitted. 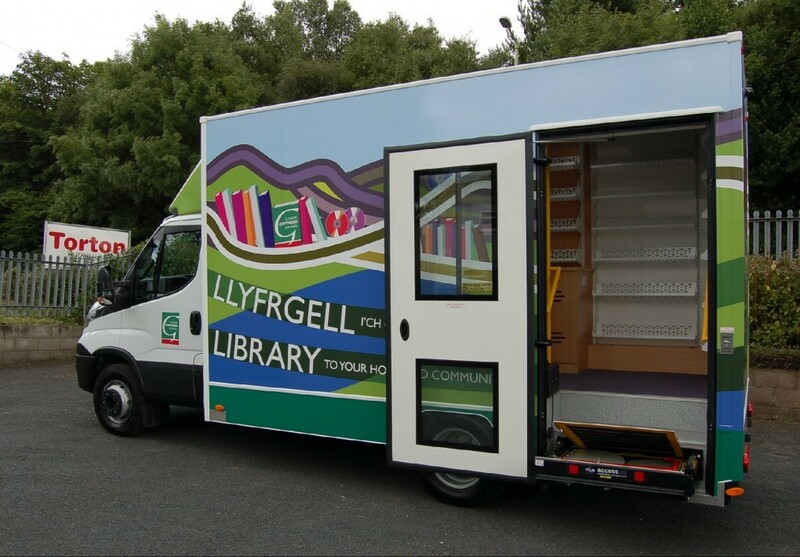 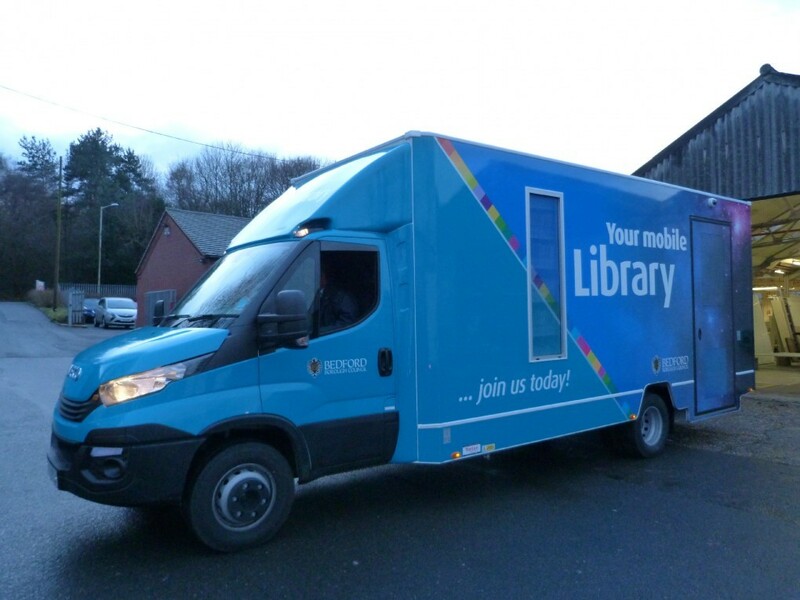 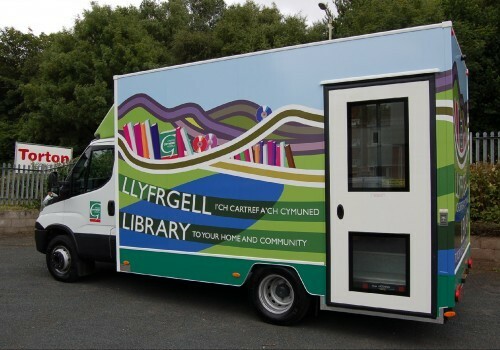 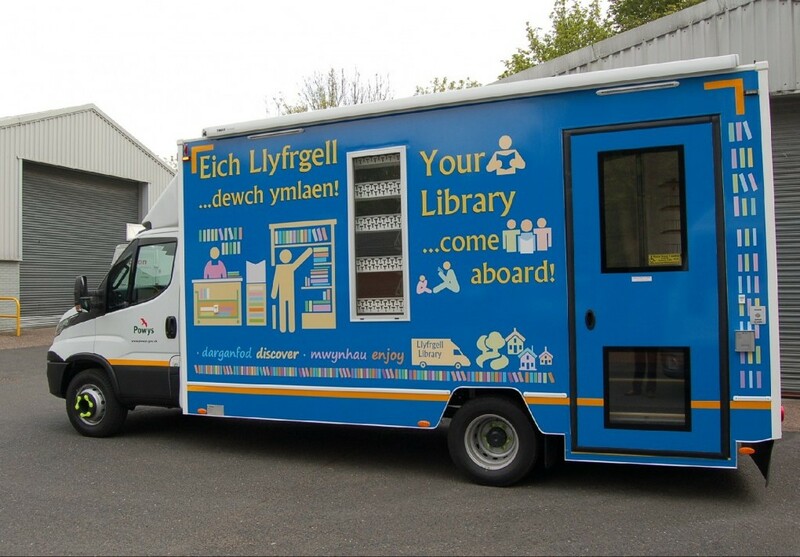 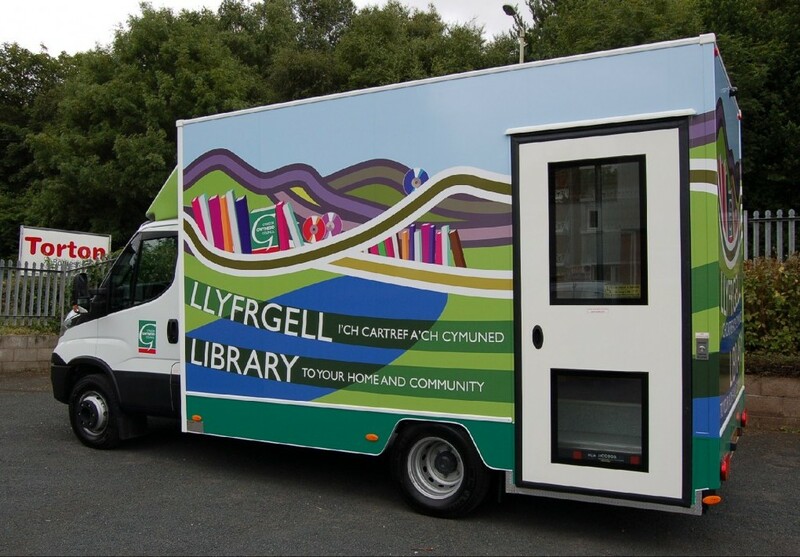 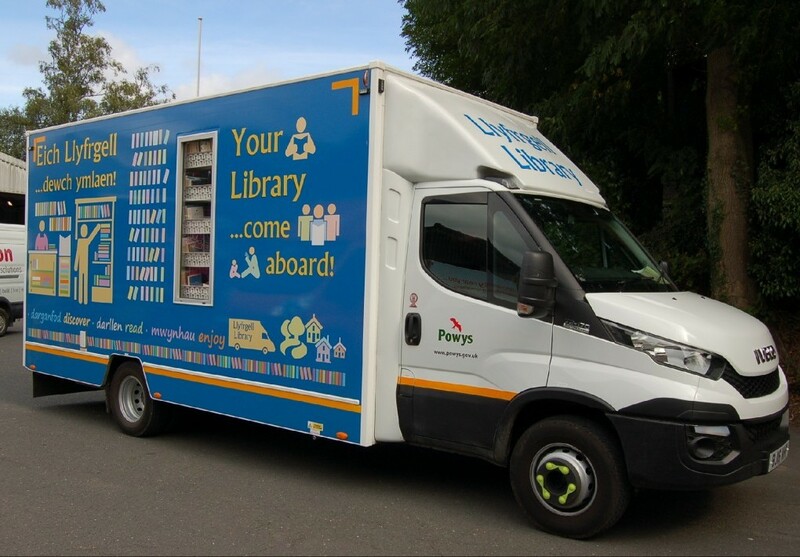 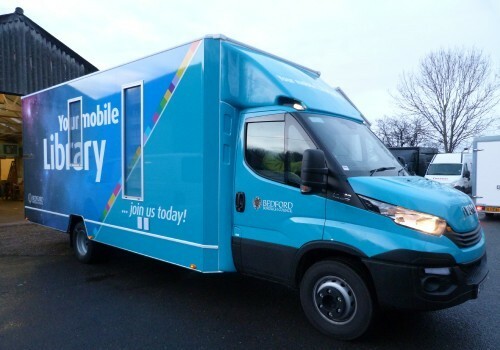 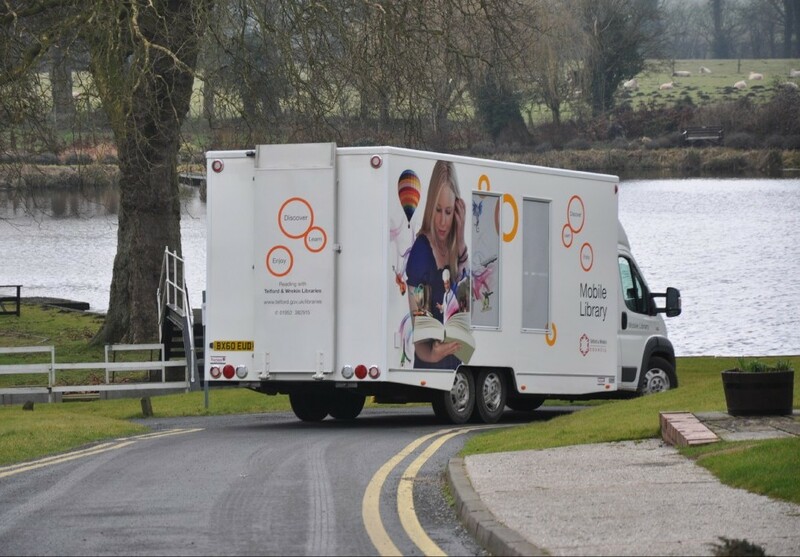 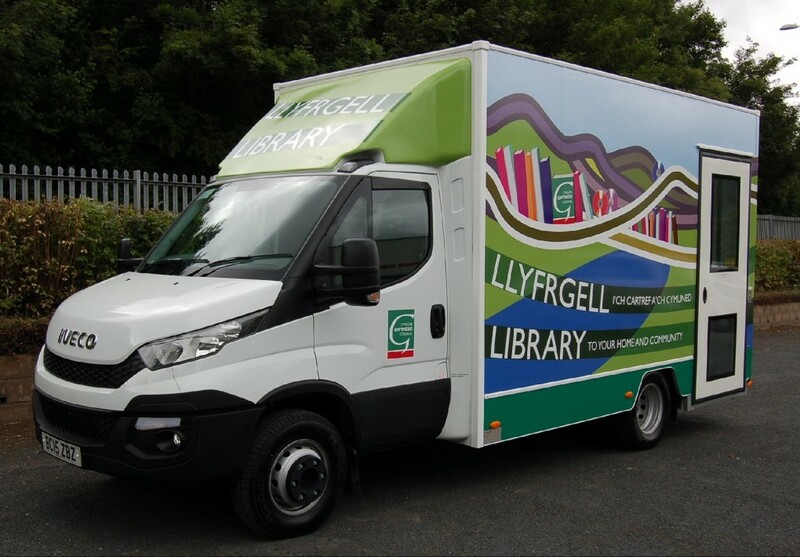 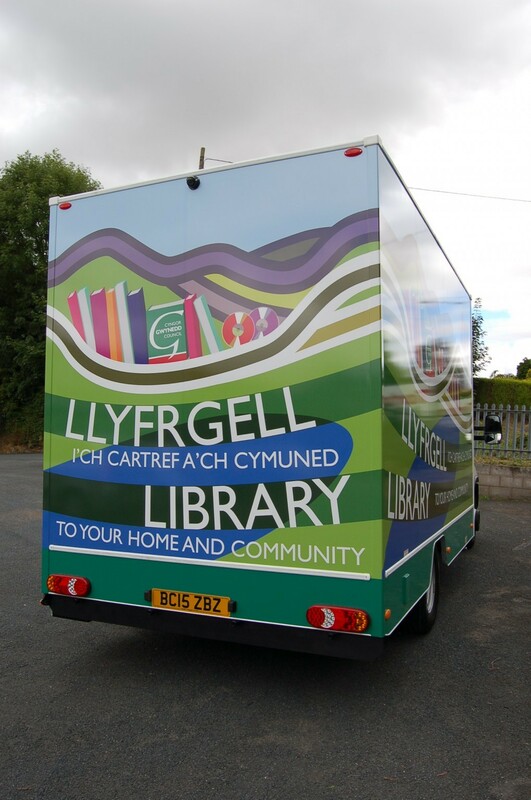 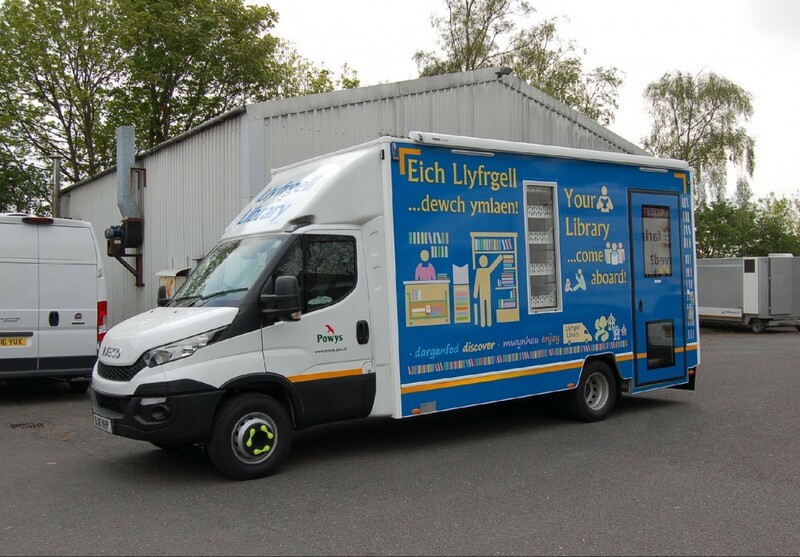 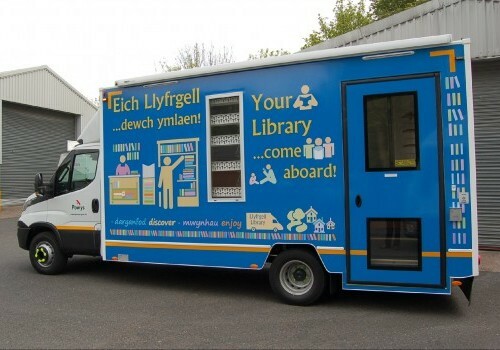 The second Gwynedd library was on a 6.5 tonne vehicle with a smaller body of 4.2m on air suspension, weighing 4 tonne ex works, it again leaves more than enough carrying capacity for its books and equipment. 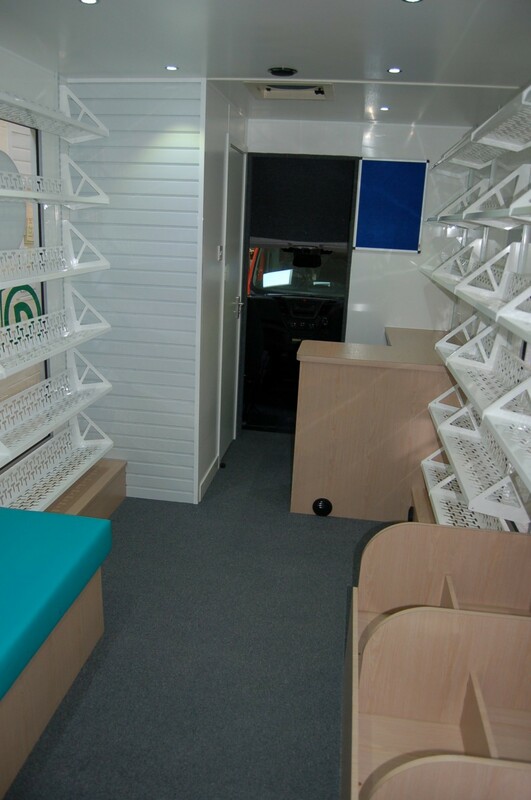 This design on a 7.2 tonne Iveco had a 5.15m body and had an ex works weight of 4120 kgs so even after driver fuel etc, you have over 2,500kgs capacity. 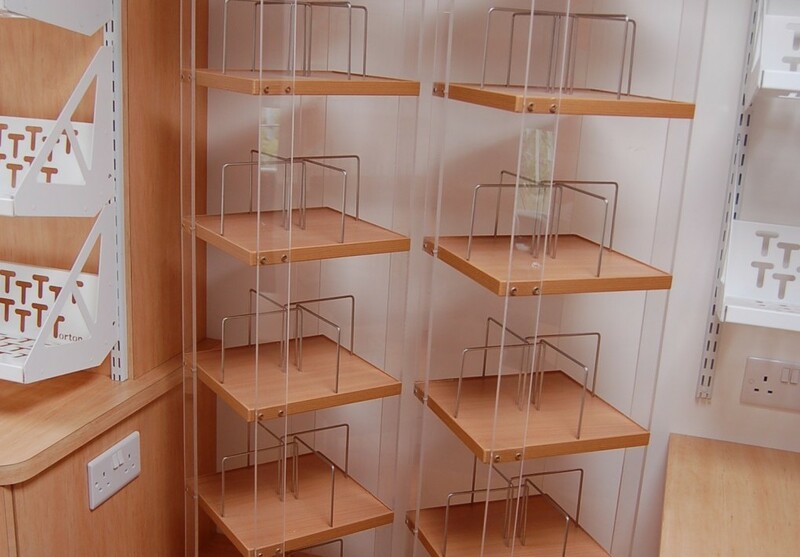 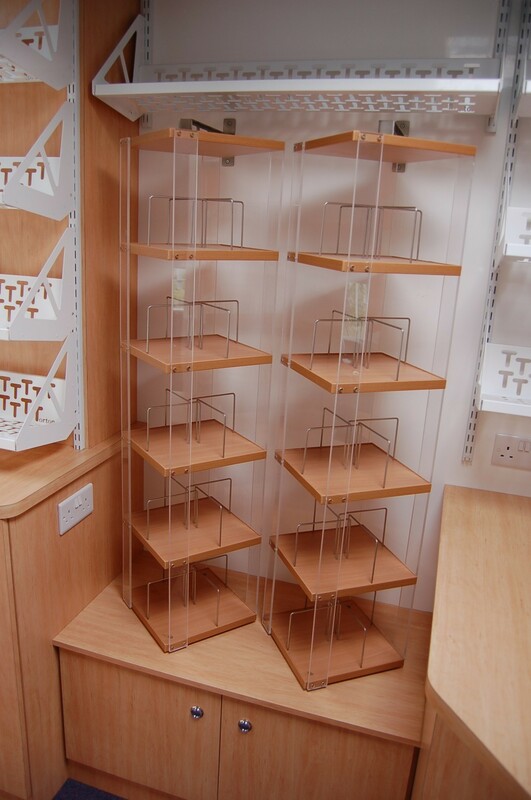 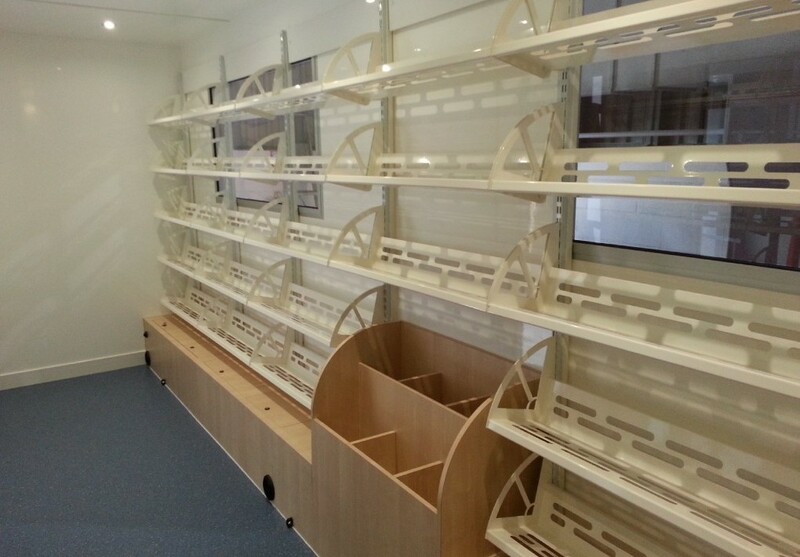 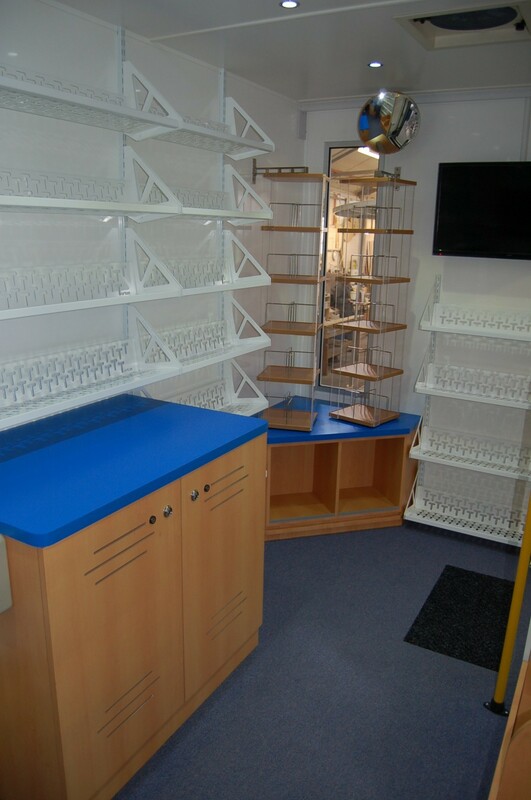 33m lineal length of shelving as well as 2 spinners and a Kinder box was included.